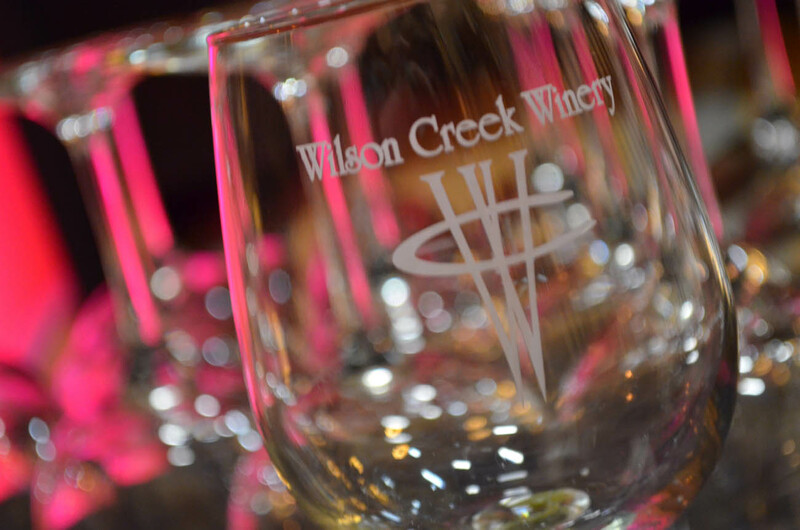 Wilson Creek embraces the natural beauty and intimacy of the vineyards combined with elegance and sophistication. 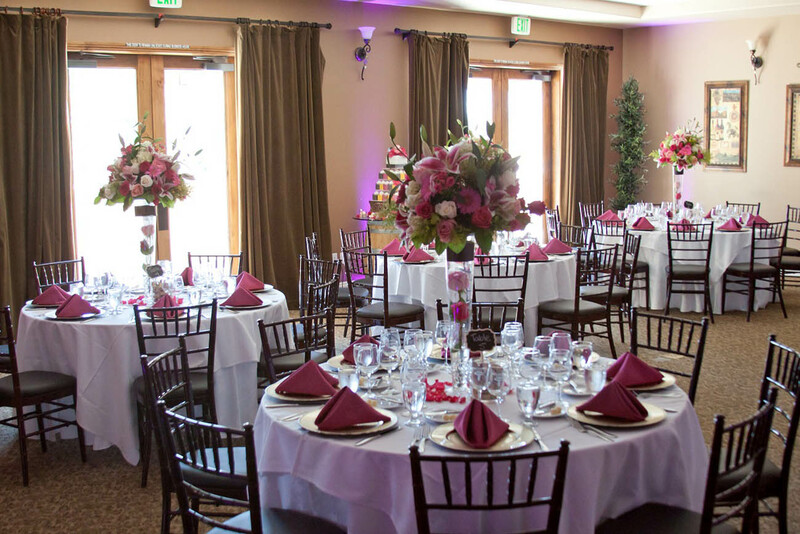 We offer complete wedding and reception packages to assist you in creating a truly personal experience. 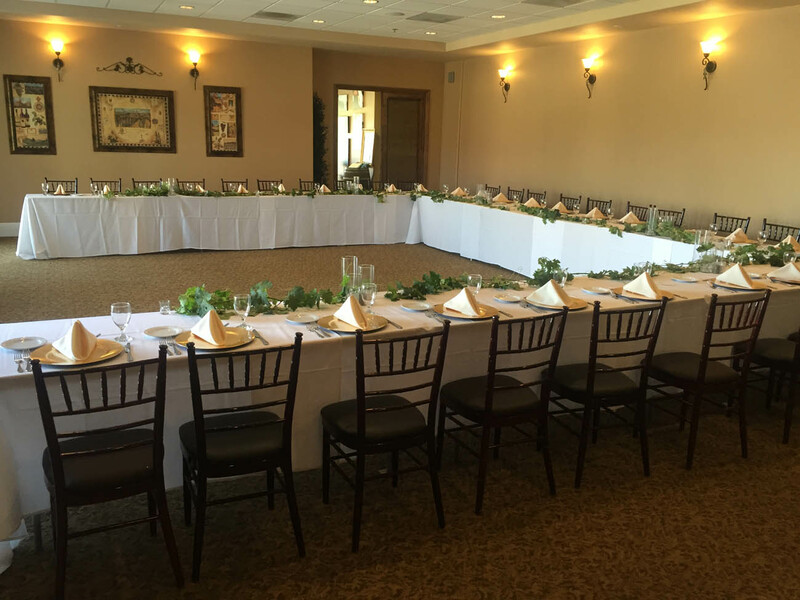 Our facility accommodates groups up to 1000 with a multitude of distinctive locations and custom packages to choose from. 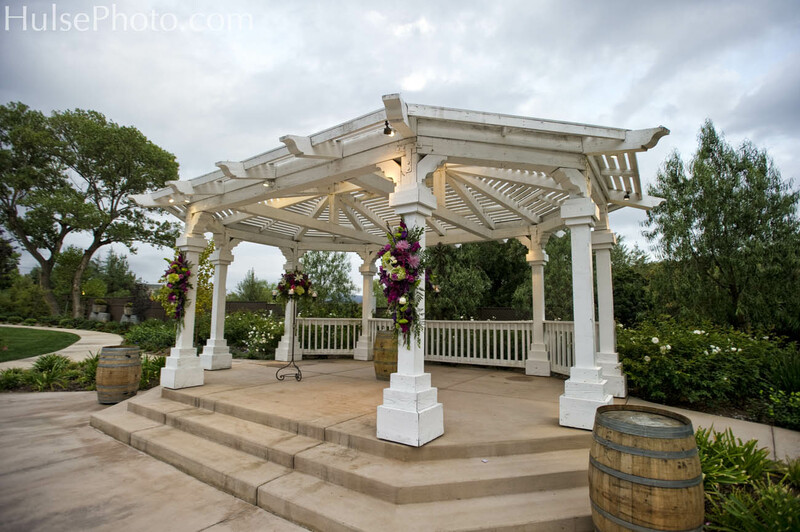 Our beautiful, White Wedding Gazebo is located right outside of our Champagne Ballroom. 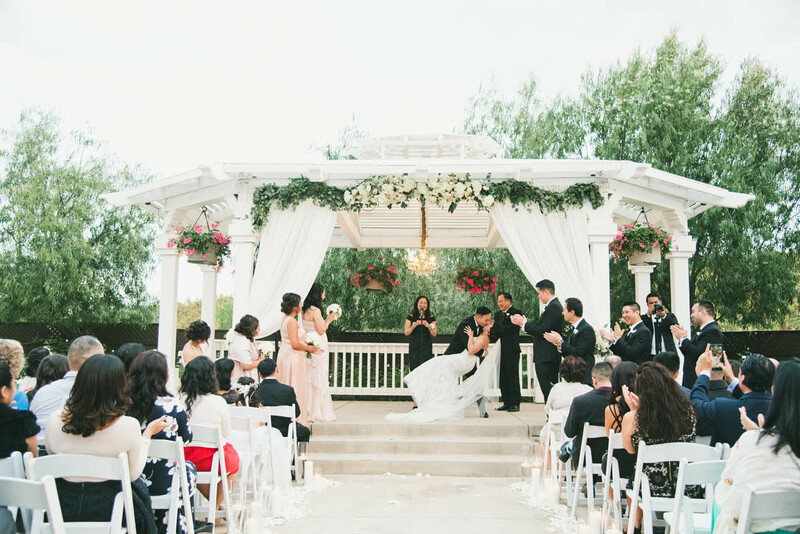 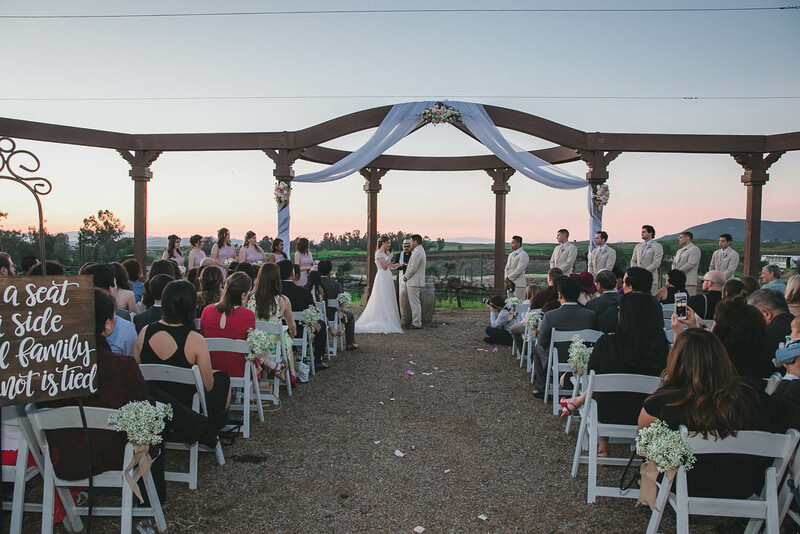 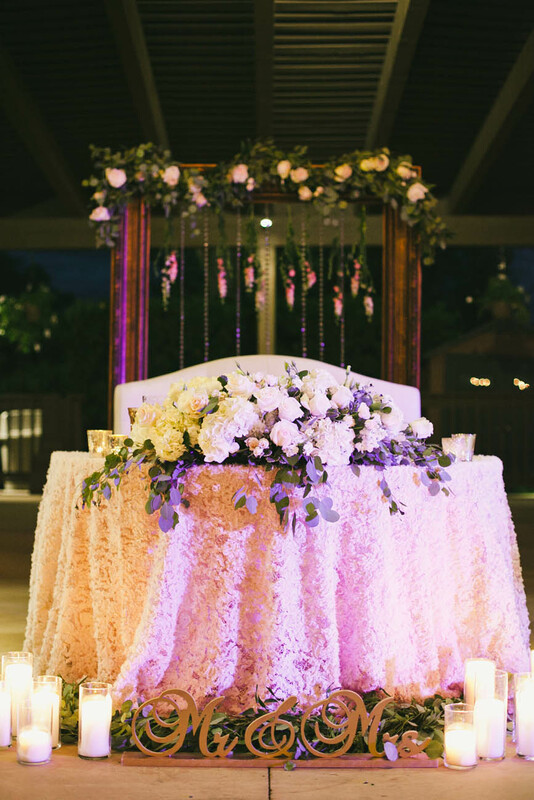 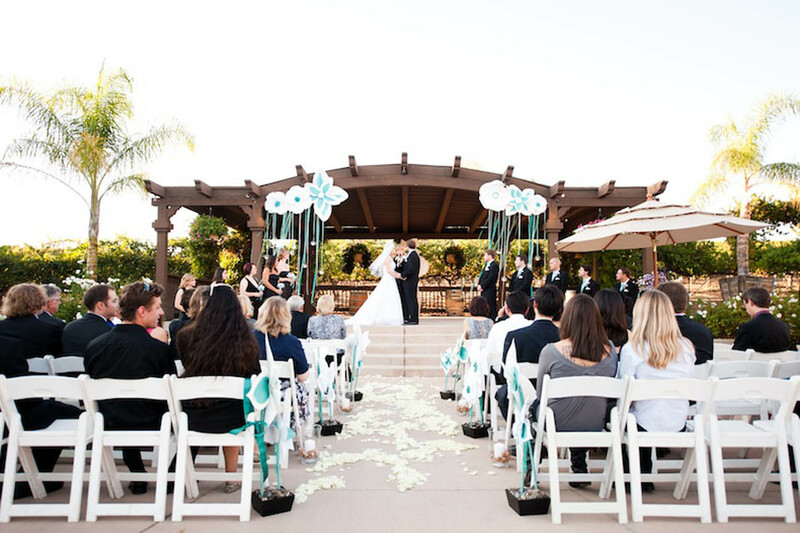 An amazing place to gather with loved ones for an intimate ceremony. 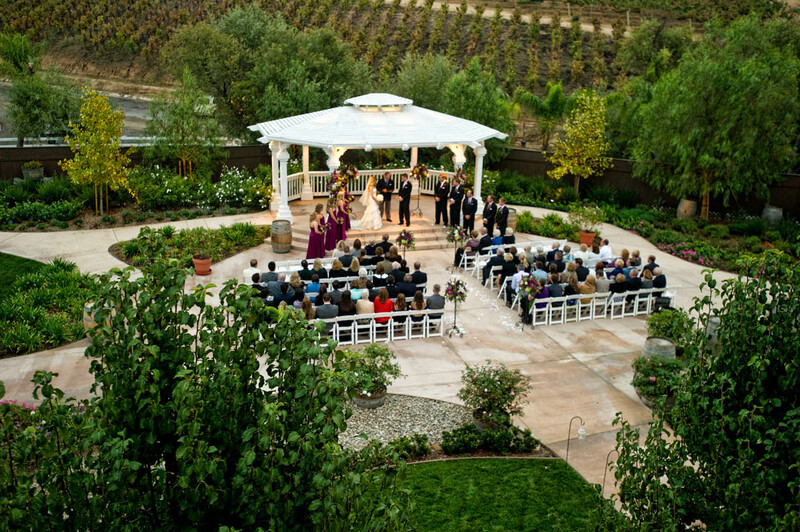 Enjoy garden views and beautiful landscaping during your special moment. 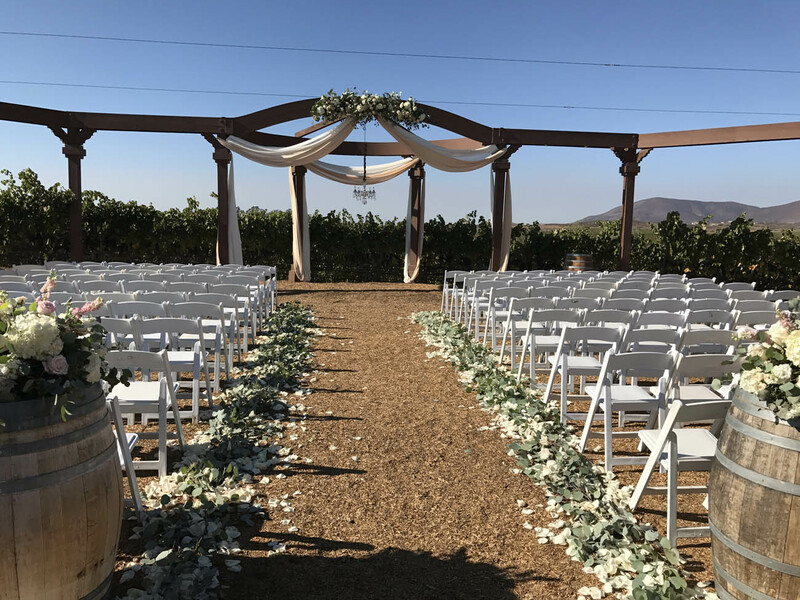 Our Concert Stage is in the center of our property grounds with large, expansive seating options overlooking our garden area with views of vineyards in the background. 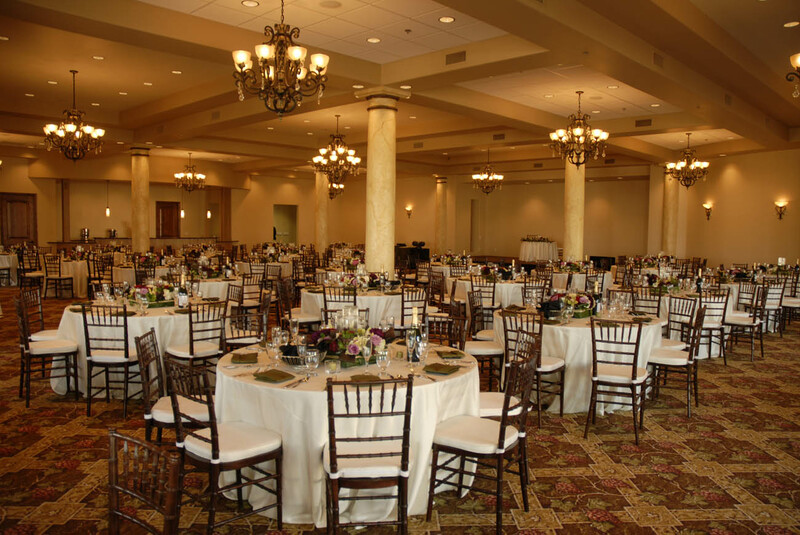 It is our largest staging area on the property for those big, special gatherings. 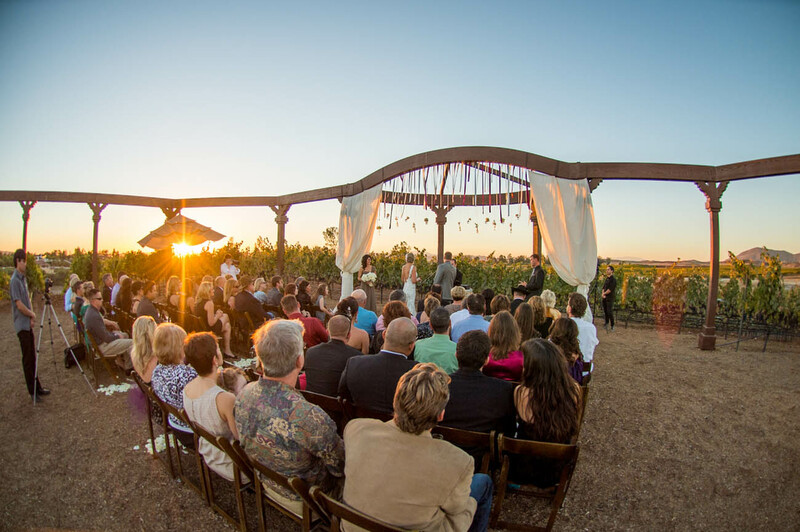 Our Vineyard View Stage is our more intimate stage area nestled at the edge of our Cabernet vines. 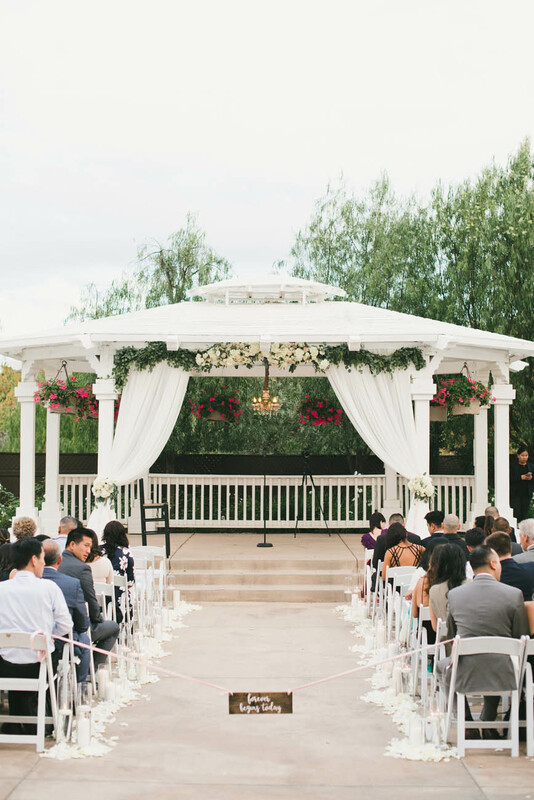 Perfect for a larger ceremony or an intimate one alike. 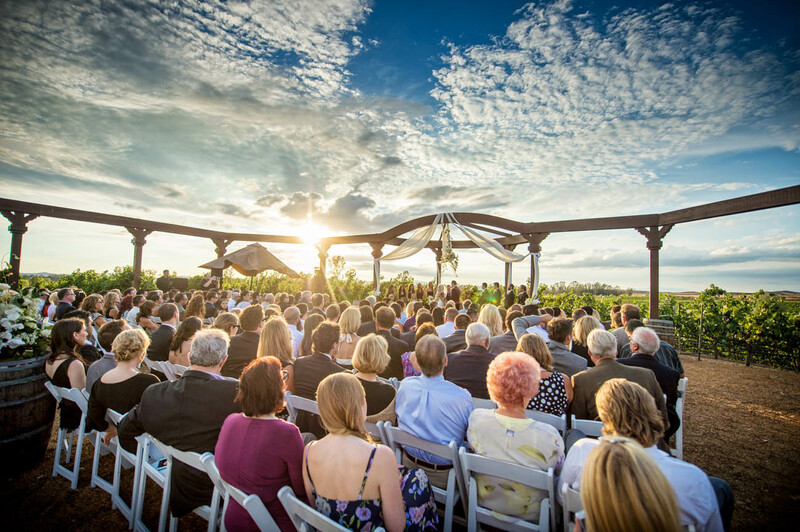 You can’t beat these breathtaking views of the vines. 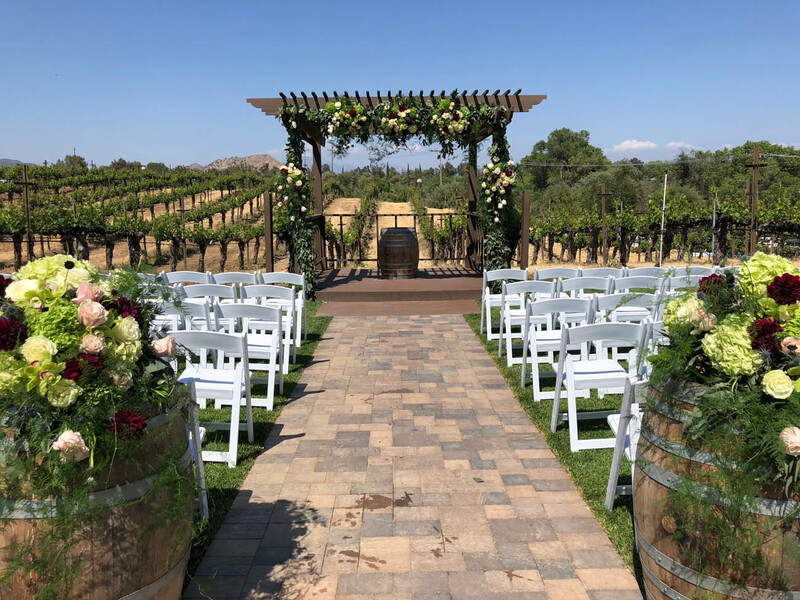 Our newest ceremony site nestled in our Cabernet Sauvignon grapevines. 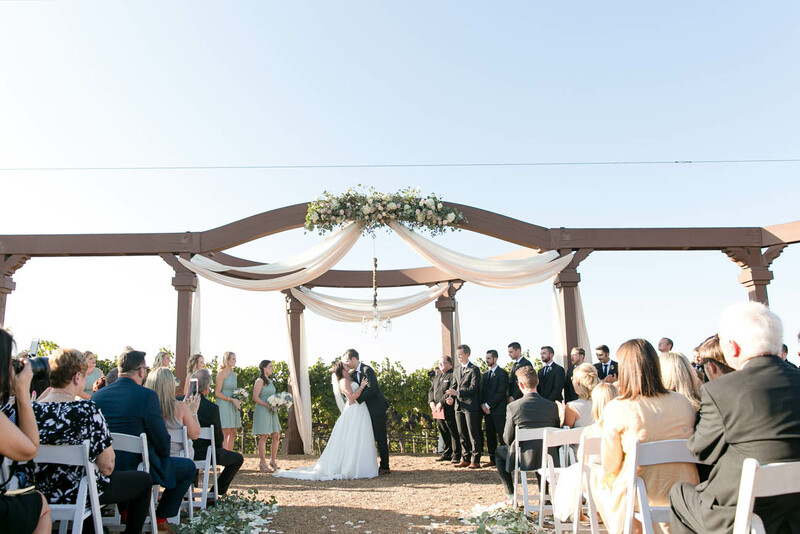 Featuring a wooden arbor and endless views of wine country charm. 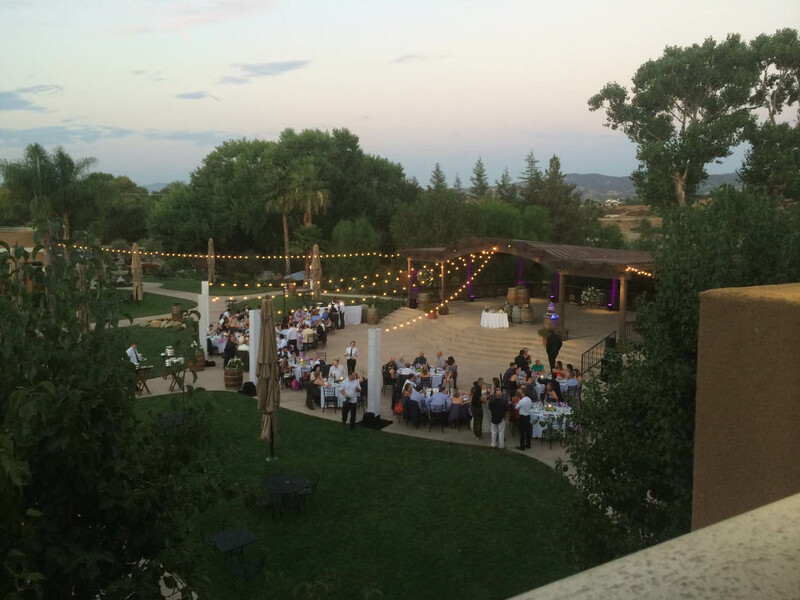 Our most unique wedding location! 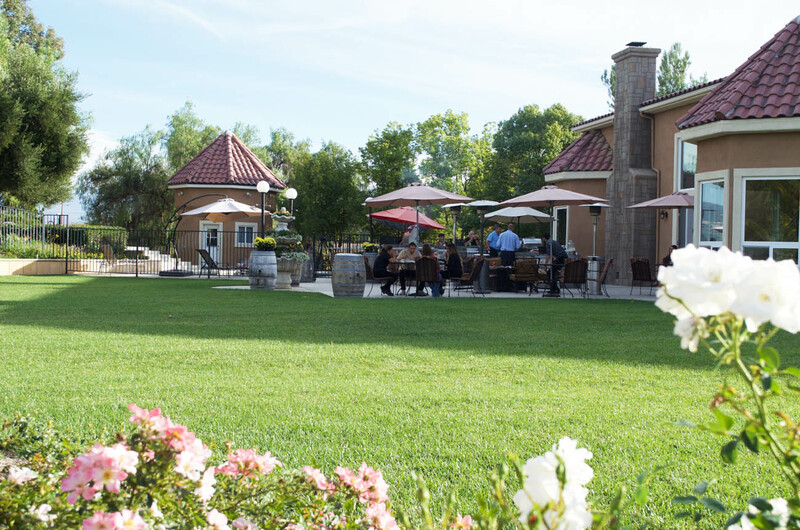 Merlot Mesa is nestled on the crest of our 70 acres of vineyards. 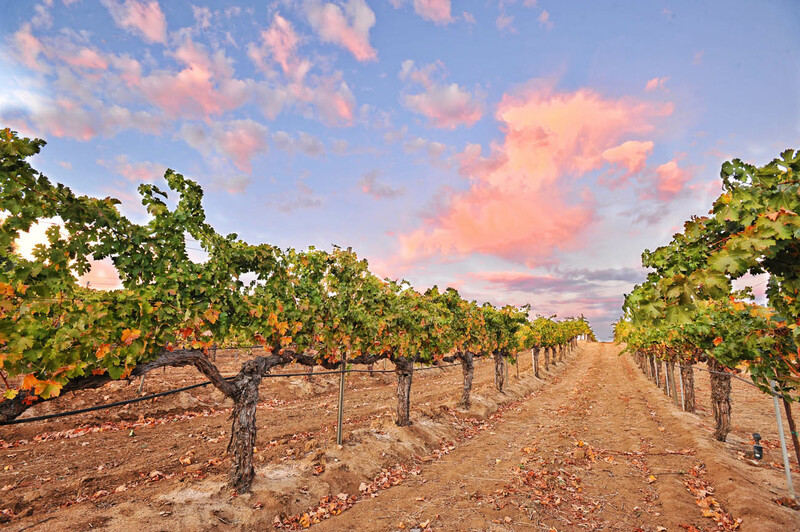 Enjoy views of neat rows of grapevines as far as the eye can see and an experience like no other. 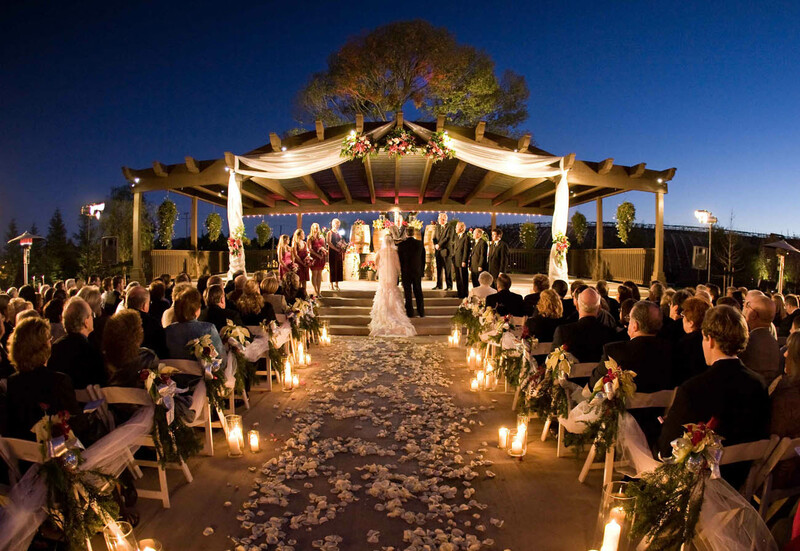 The perfect location for your dream wedding. 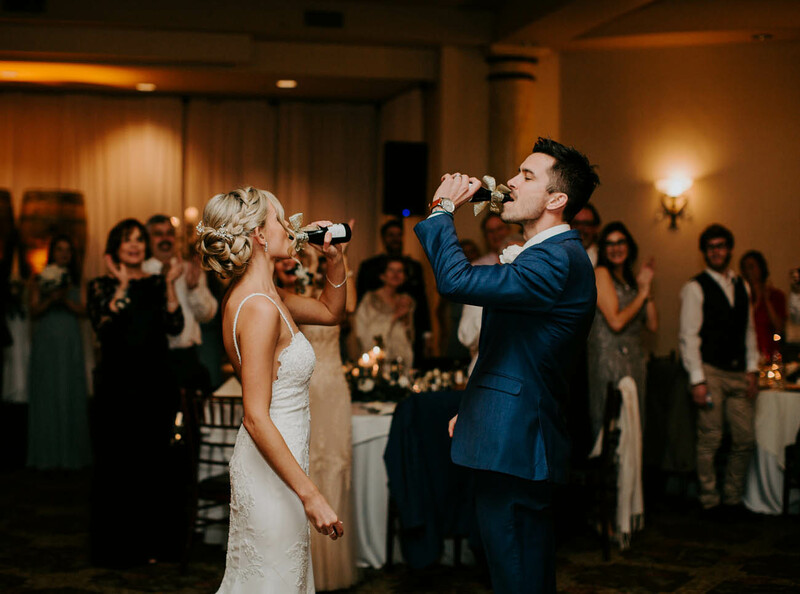 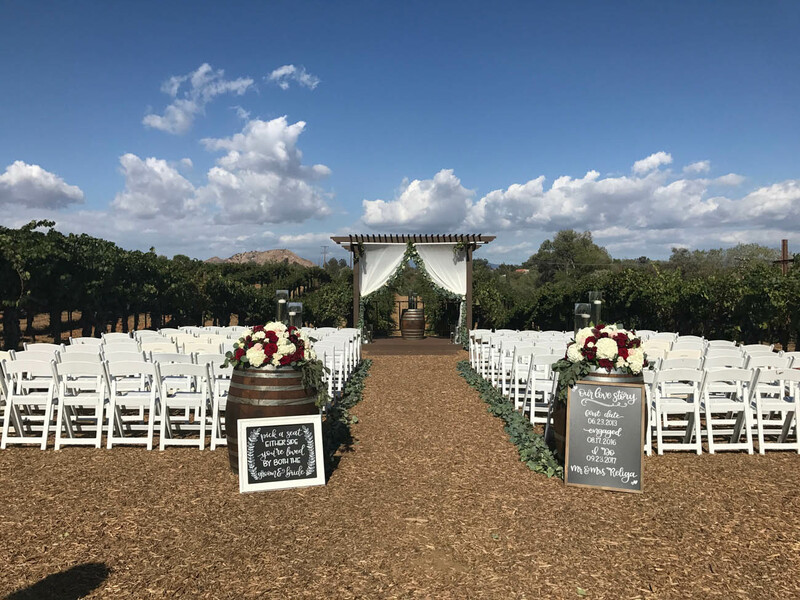 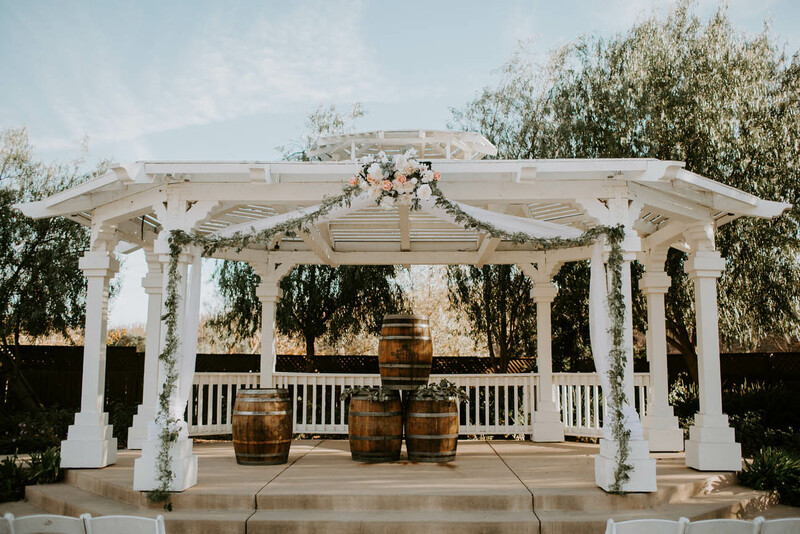 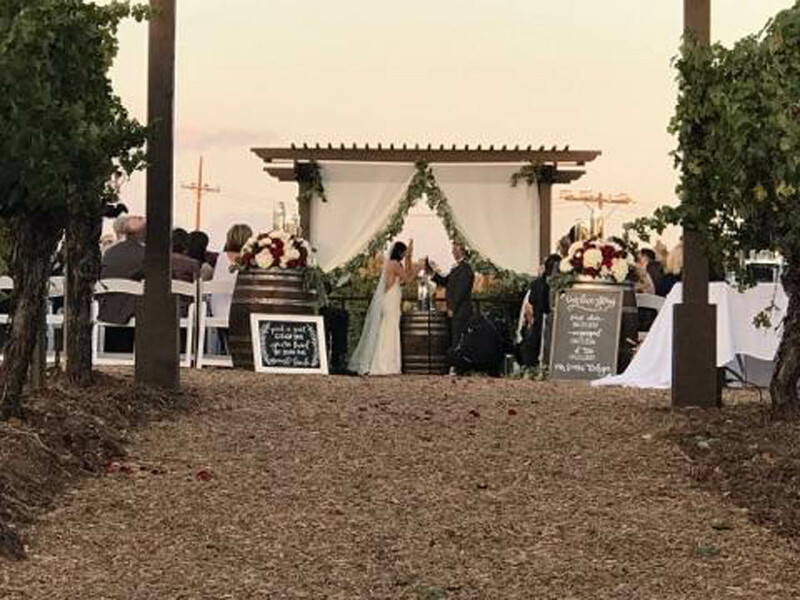 An additional charge for this site includes transportation to and from the winery parking lot for your guests, a generator for your sound and lighting, as well as setup and breakdown of equipment. 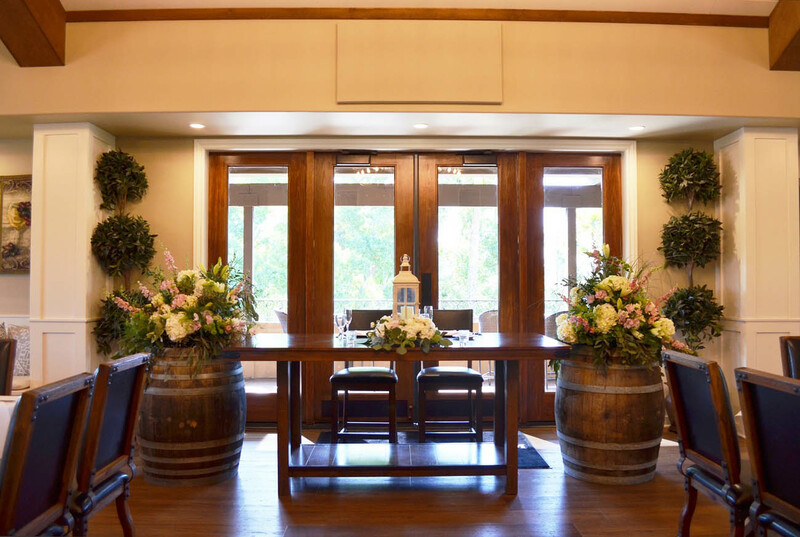 Surrounded by lovely views of the winery through several beautiful french doors, our 5100 sq. 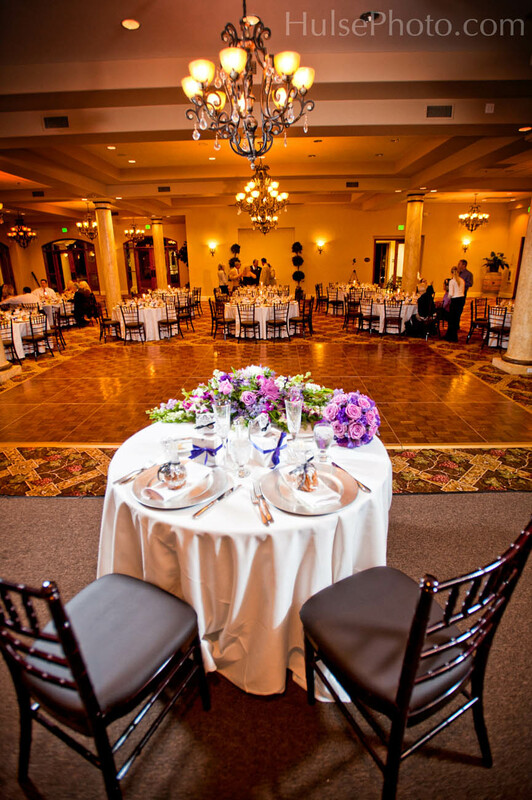 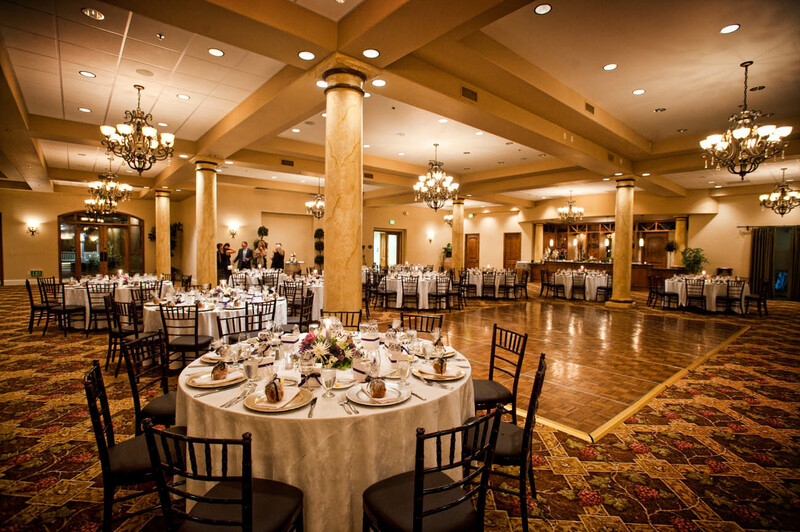 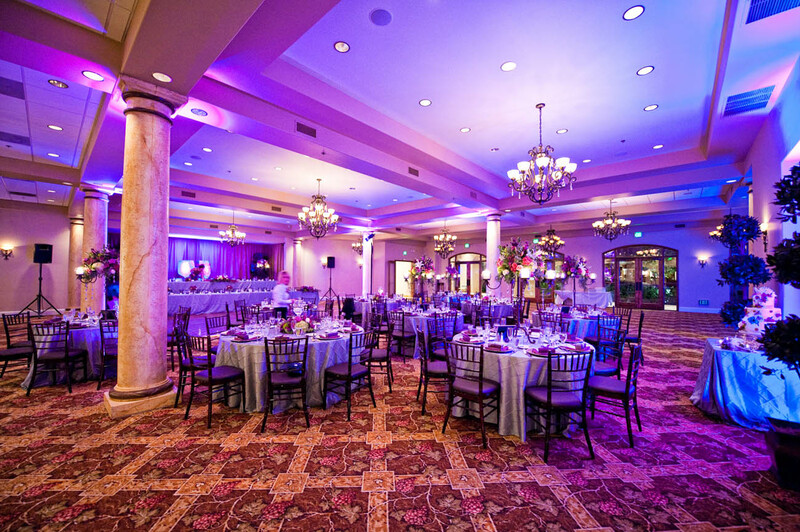 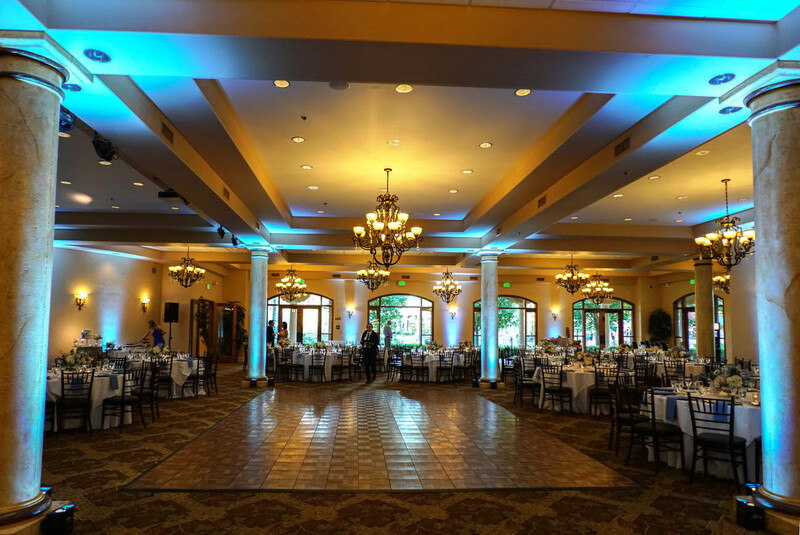 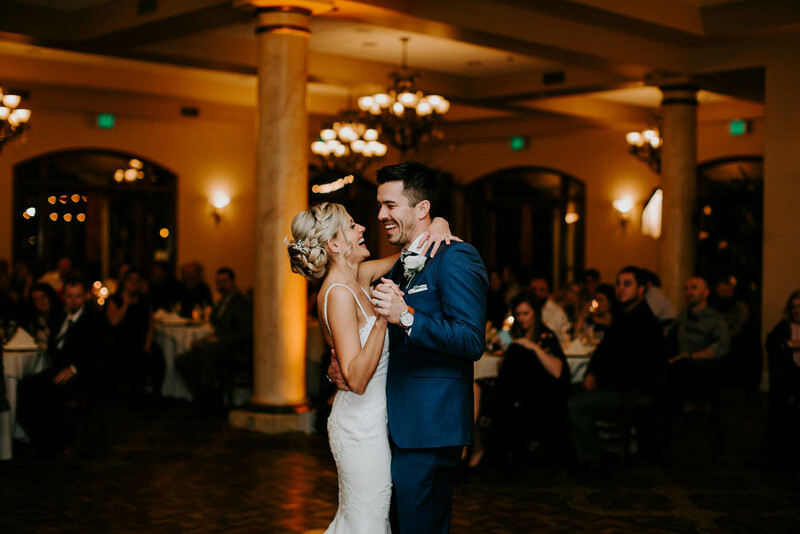 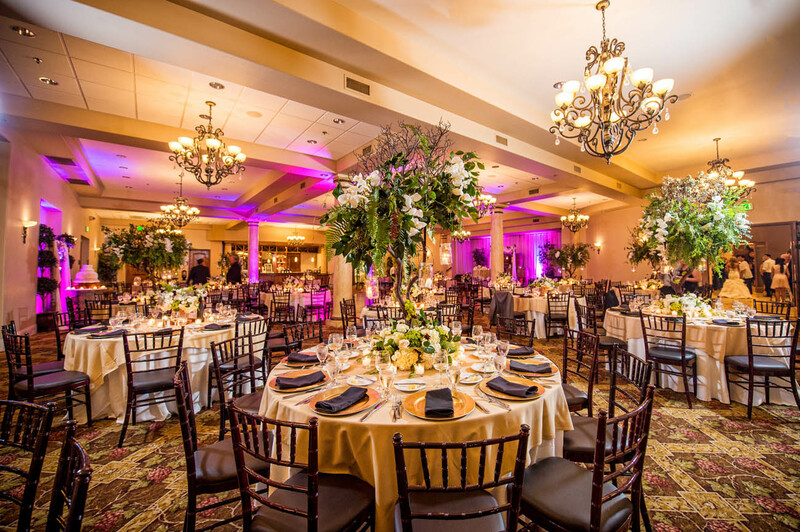 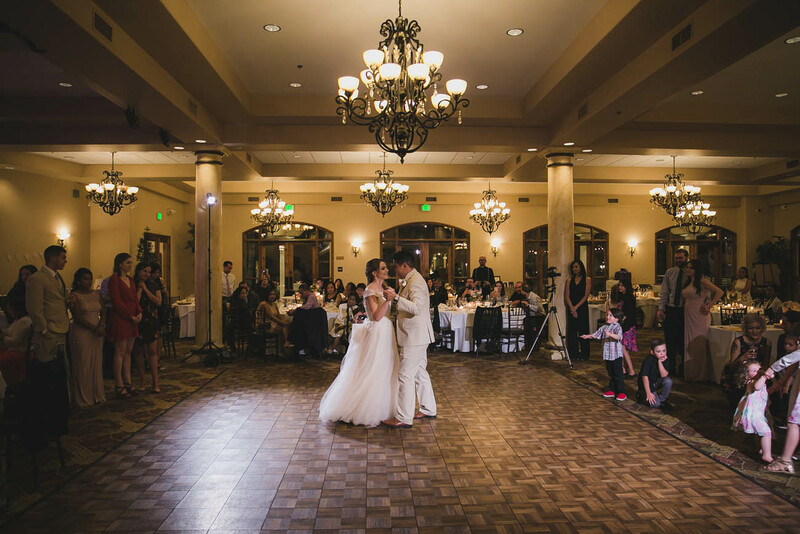 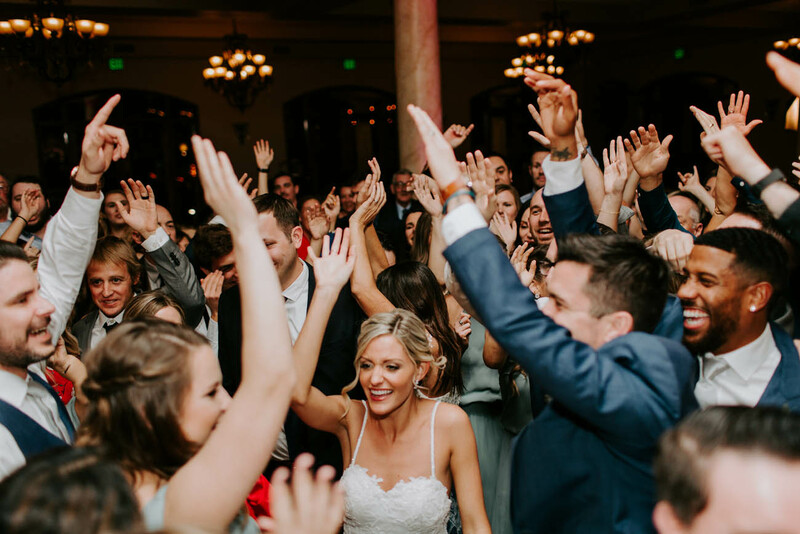 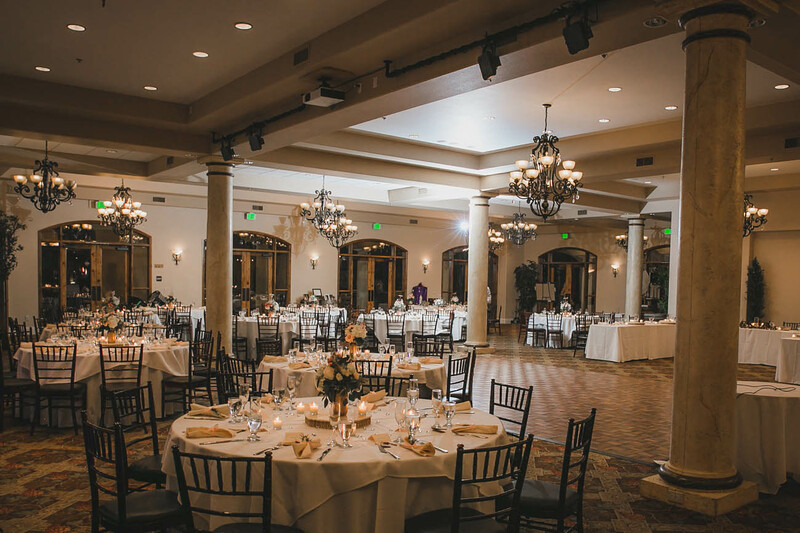 ft. ballroom features an elevated stage, wood dance floor, Alderwood built-in-bar with granite counter top, and Tuscan inspired chandeliers with a hint of crystals for that elegant touch. 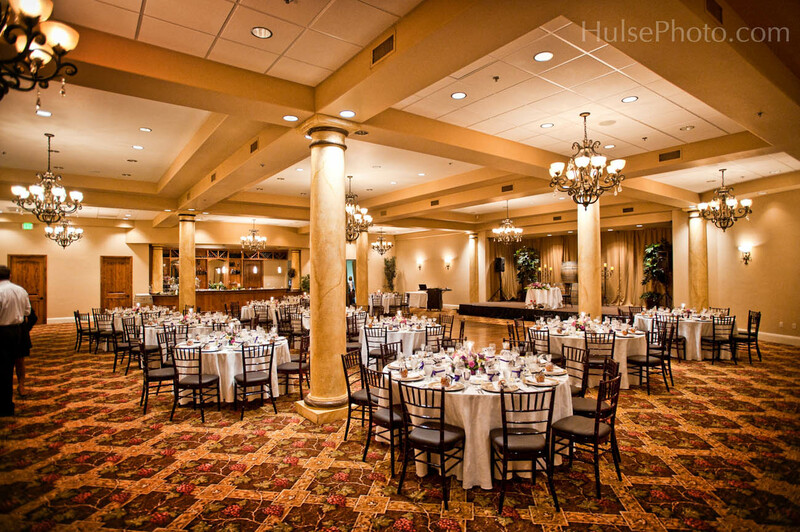 It is located adjacent to the foyer near our sweeping staircase. 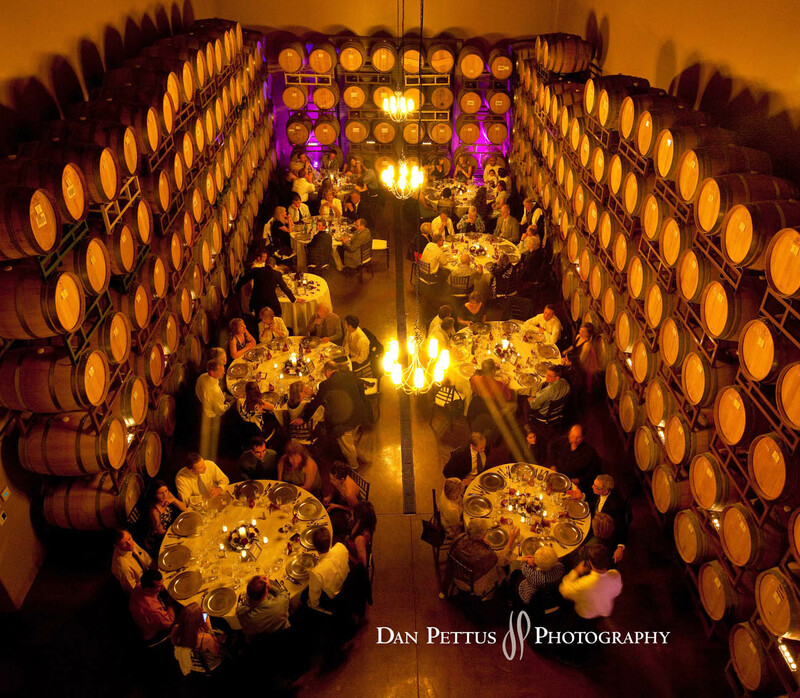 Our barrel room is the perfect place for an intimate dinner or reception. 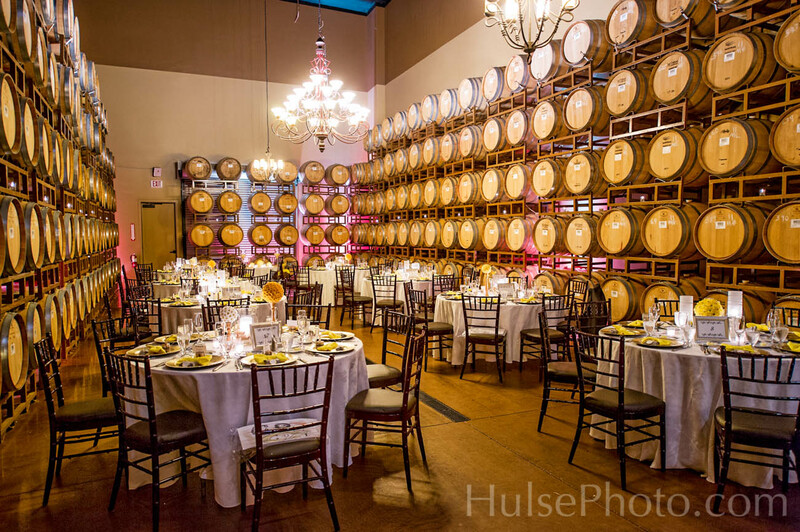 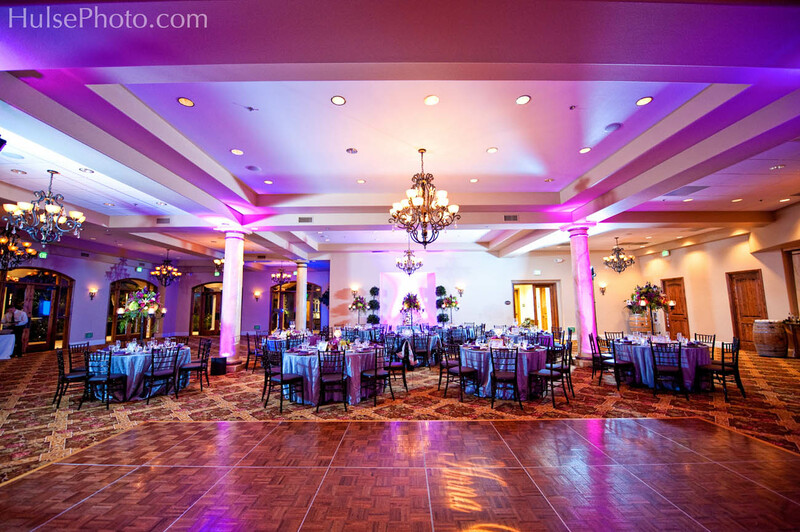 Aging oak barrels line the walls stacked high, wrought iron chandeliers hang from the ceiling, and dramatic uplights enhance the romantic look and feel. 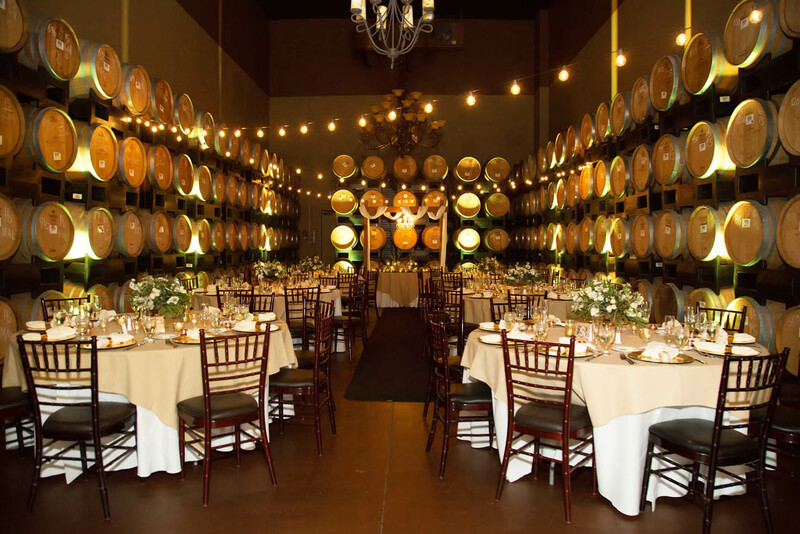 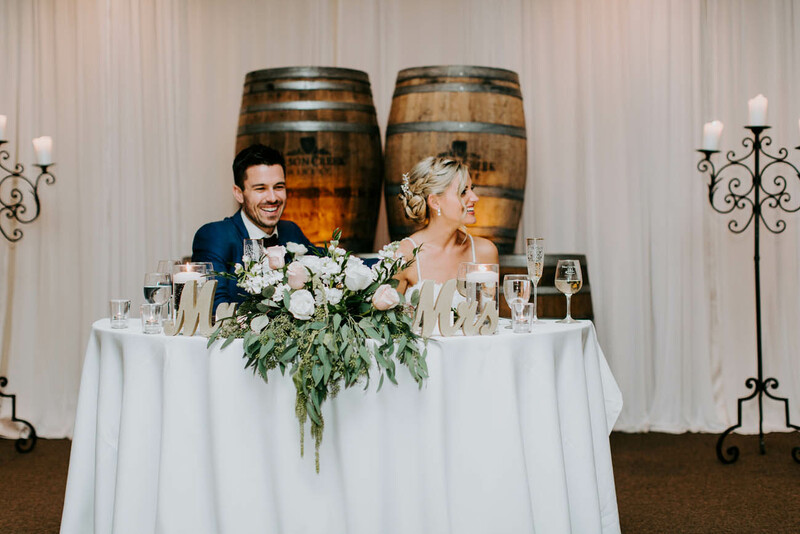 With candlelight surrounding the room on top of wine barrels and tables, the barrel room is the perfect setting for intimate gatherings. 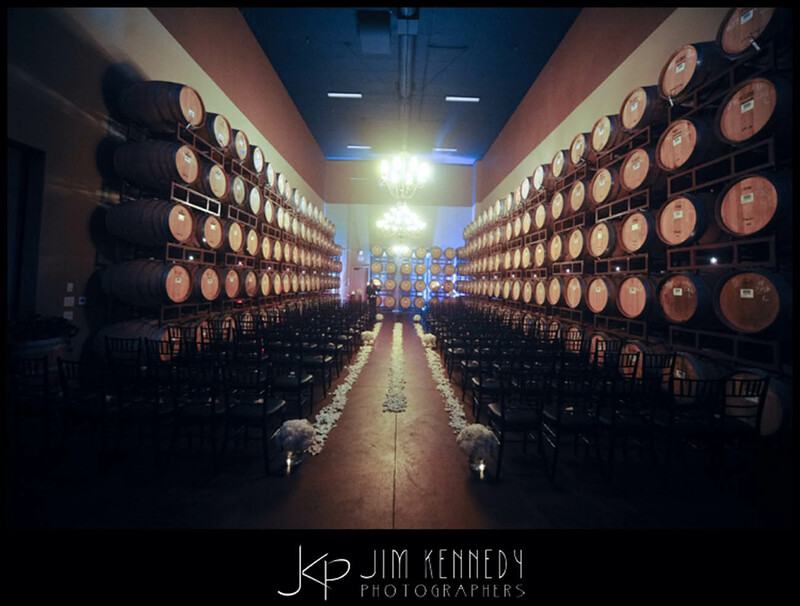 Included is the adjacent Wine Cask Room featuring ambient lighting and beautiful natural stone floors. 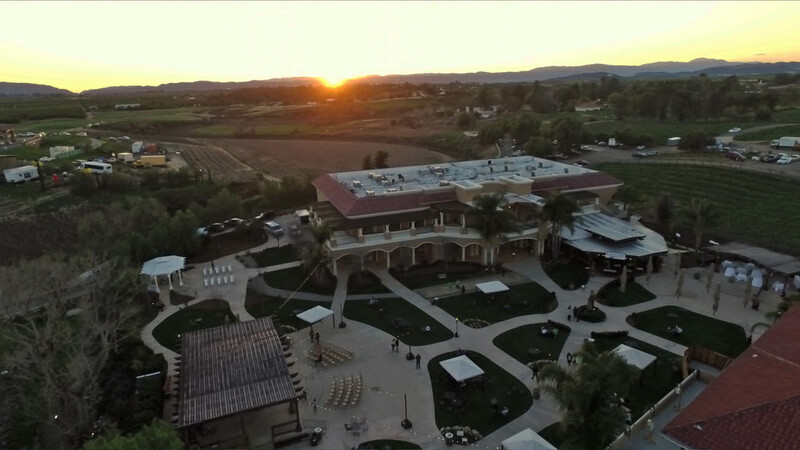 This is our newest reception site located just above the tasting room. 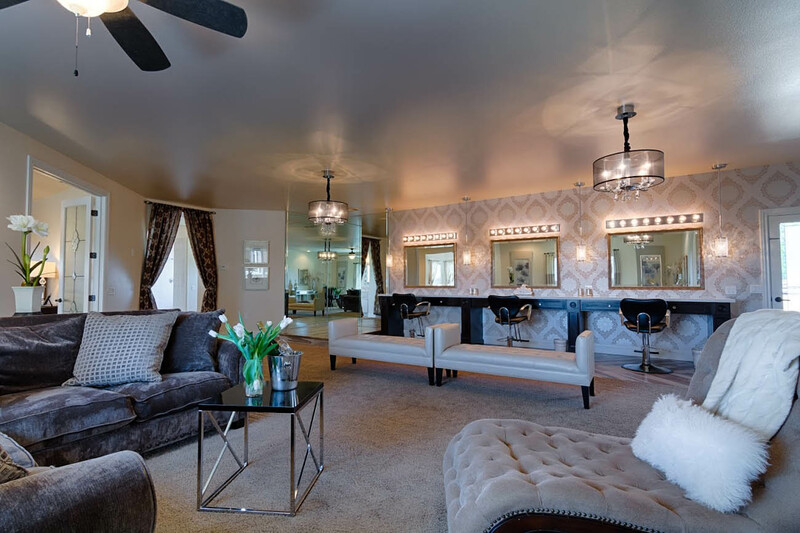 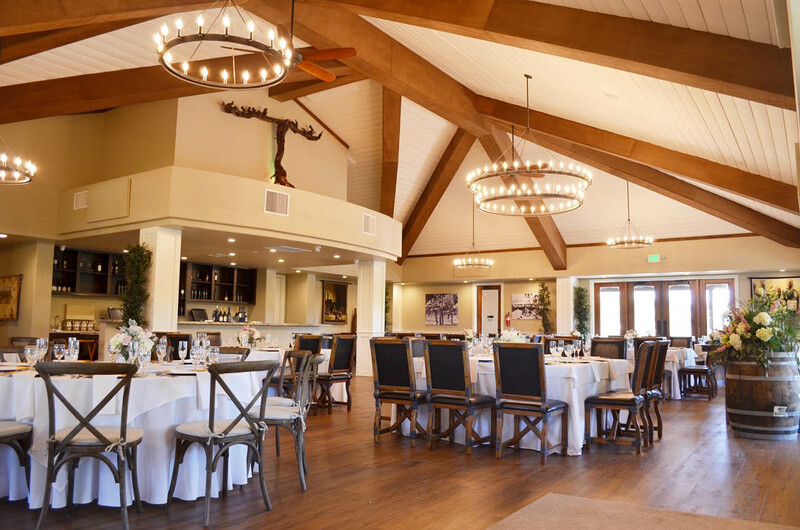 Tuscan-inspired chandeliers and wooden floors give an elegant, contemporary rustic feel. 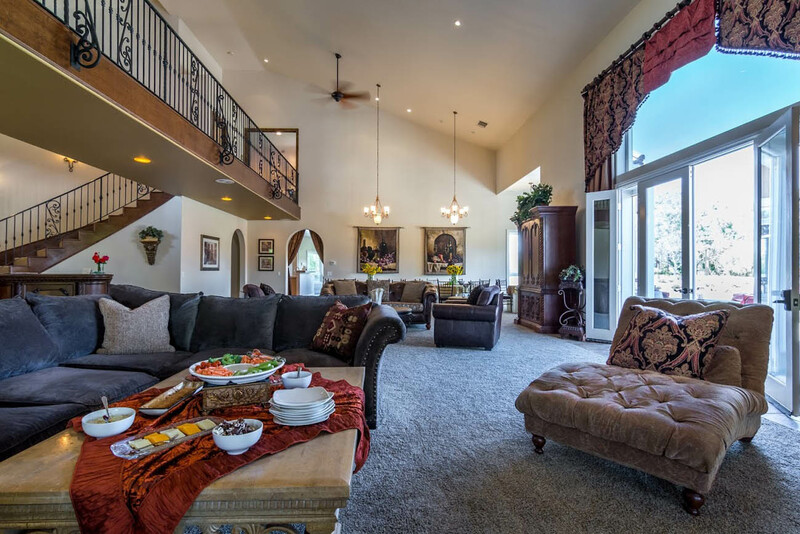 Surrounded by views of the winery through the double doors leading out to the balcony. 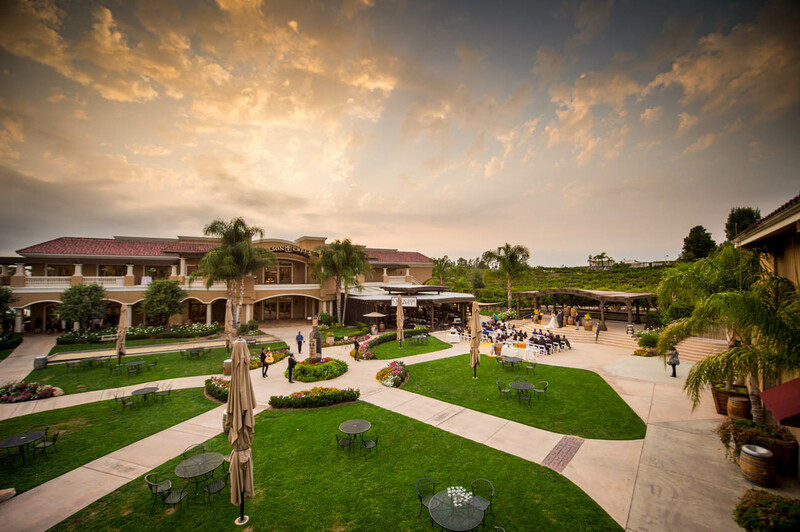 Get a surrounding view of our flower-filled garden areas and vineyards. 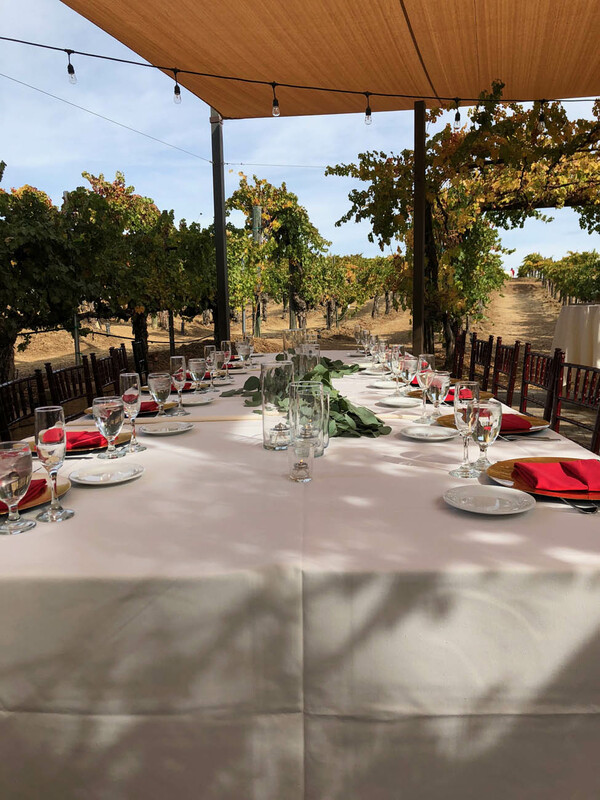 Our newest al fresco dining site located in the first row of our vines. 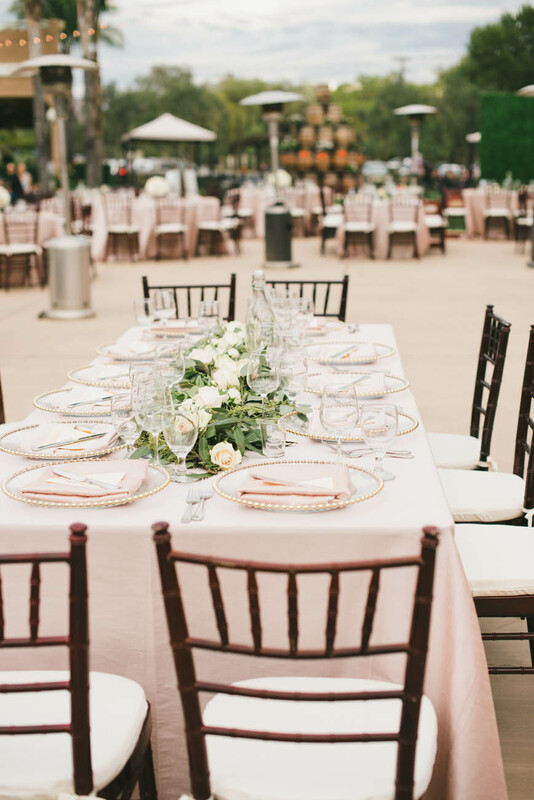 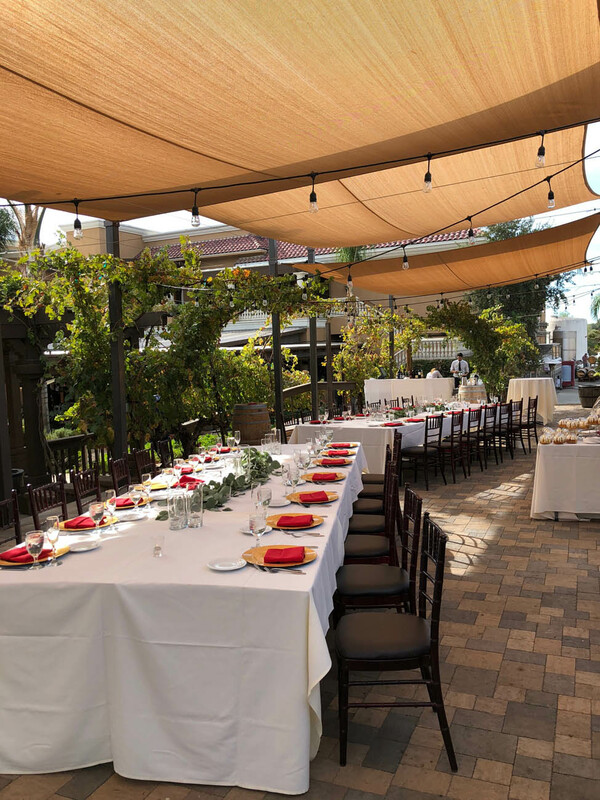 Perfect for smaller gatherings like a bridal shower, brunch or any daytime event. 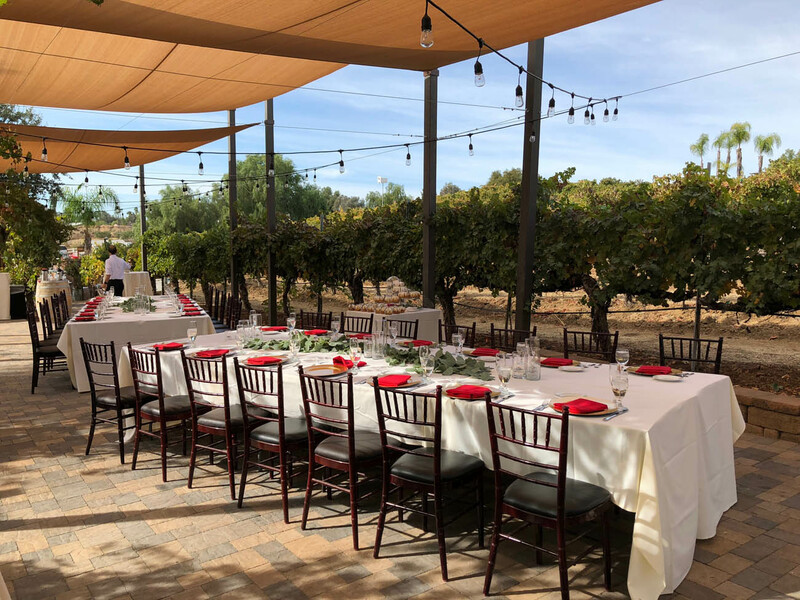 Enjoy an intimate dining experience in the vines! 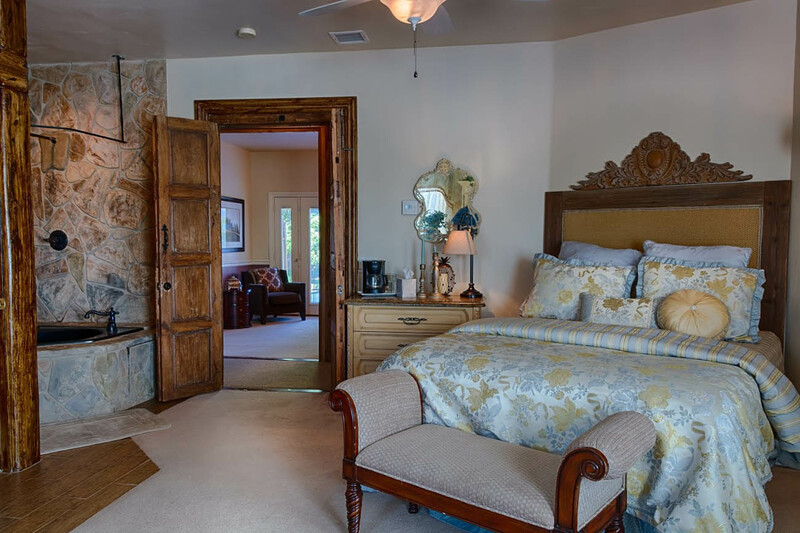 Two double french doors open to the balcony which overlooks the winery with vistas of the vineyards and mountains. 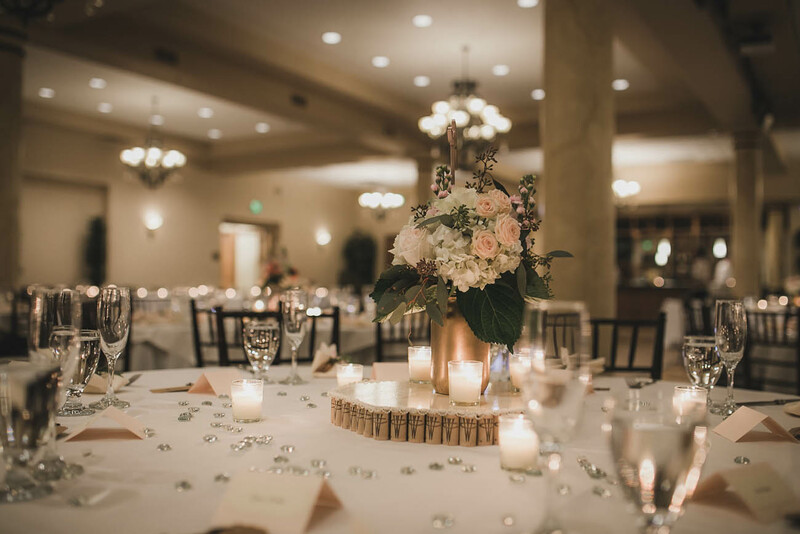 Located at the top of the sweeping staircase, our Garden View Terrace Room is perfect for daytime weddings, rehearsal luncheons, or dinner. 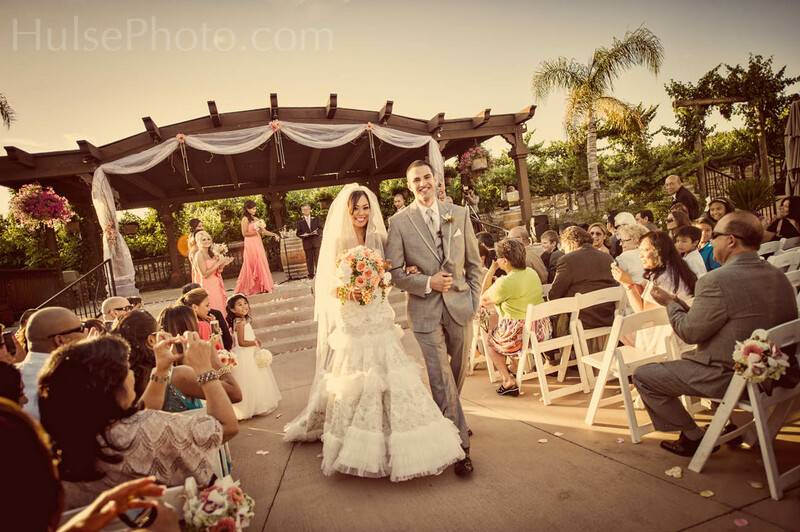 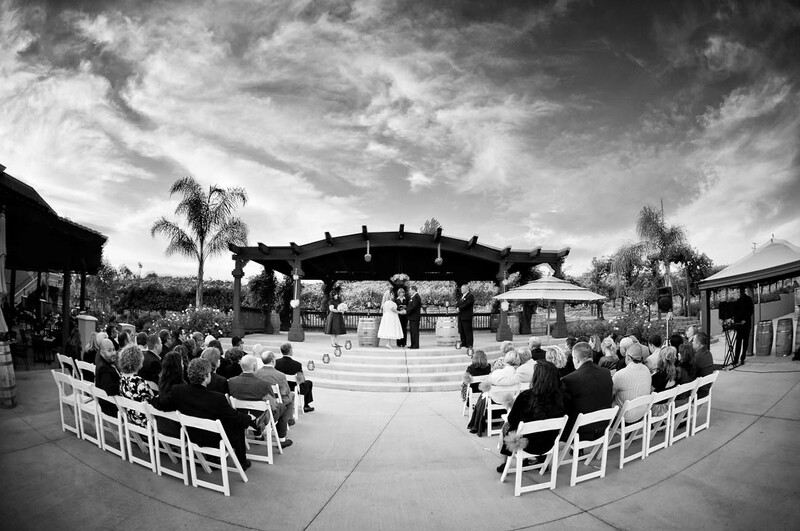 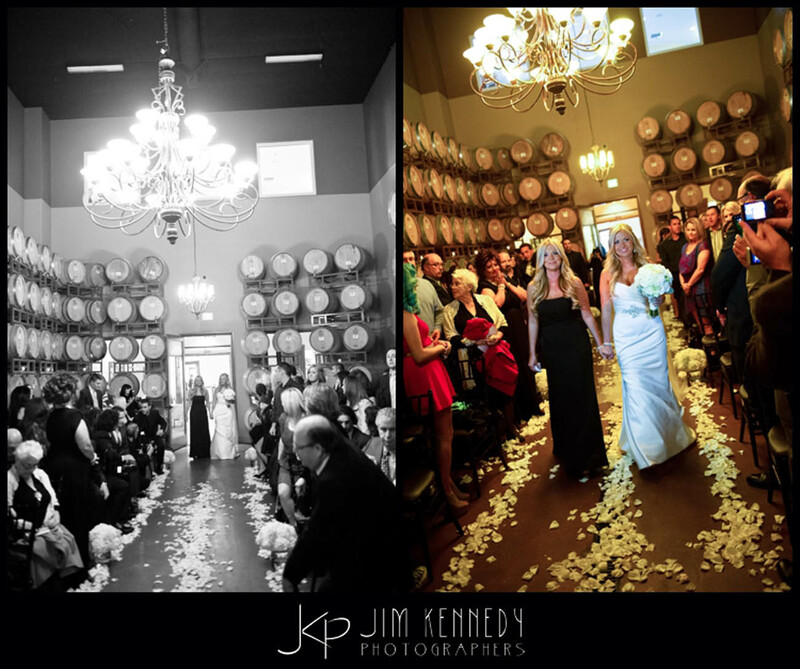 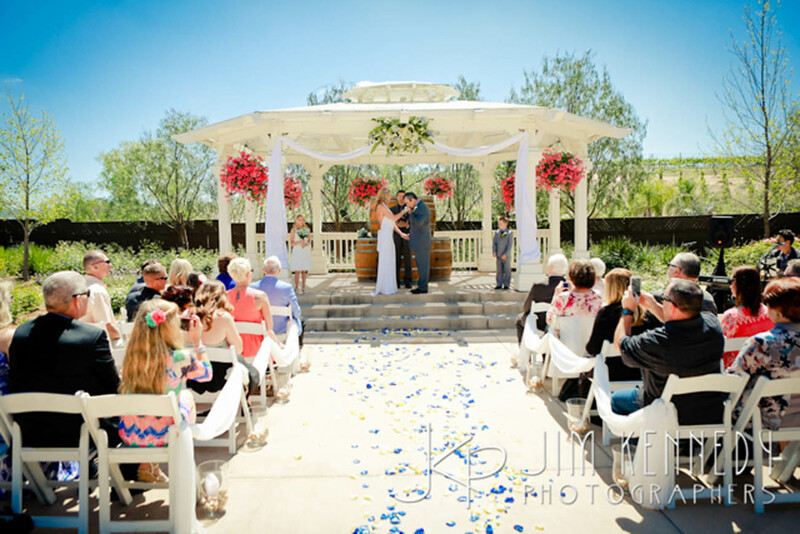 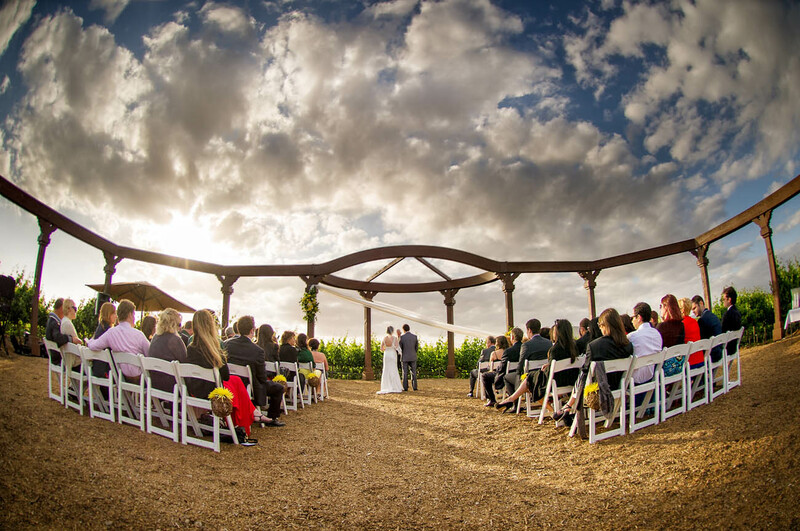 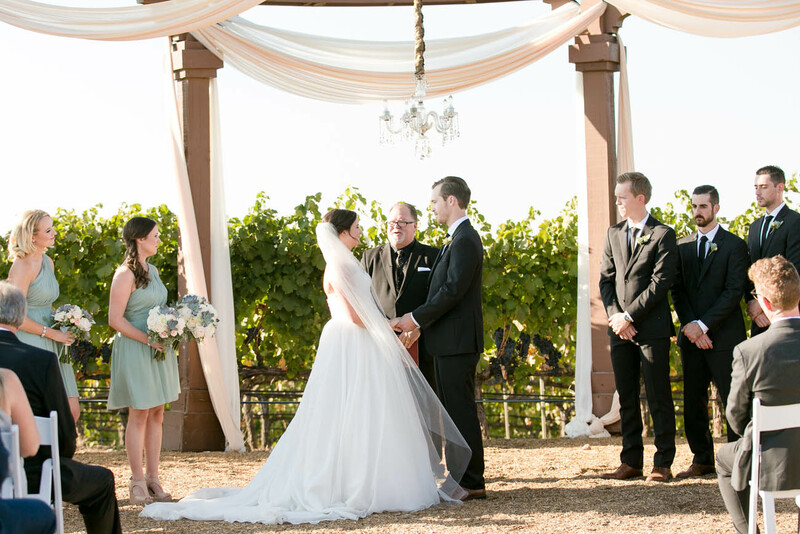 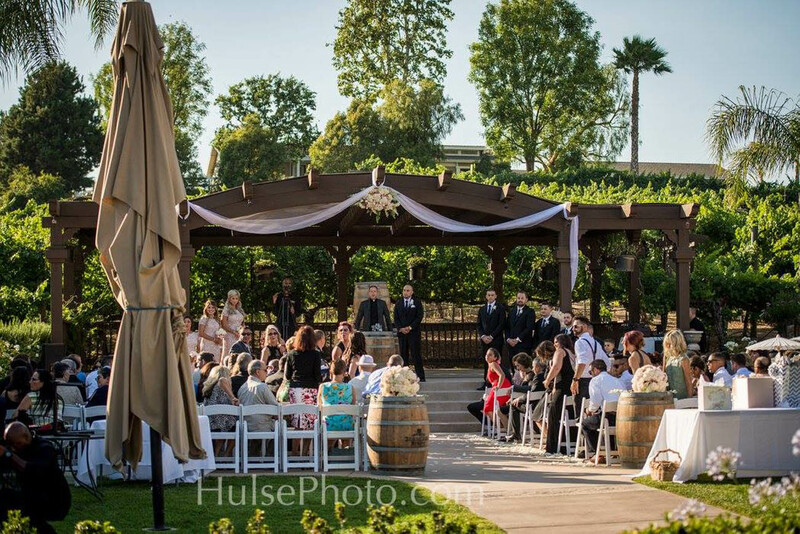 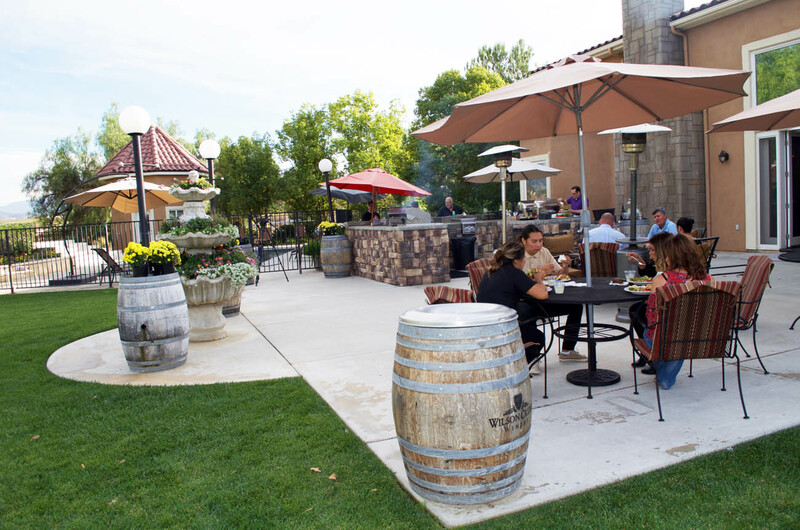 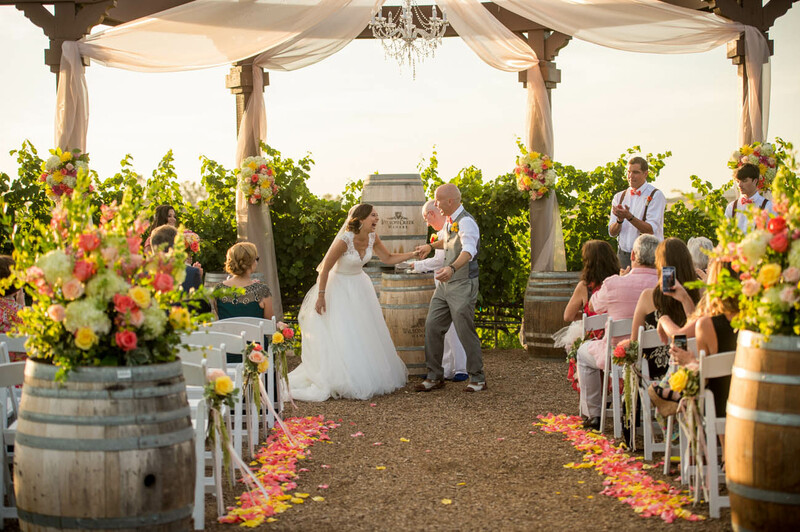 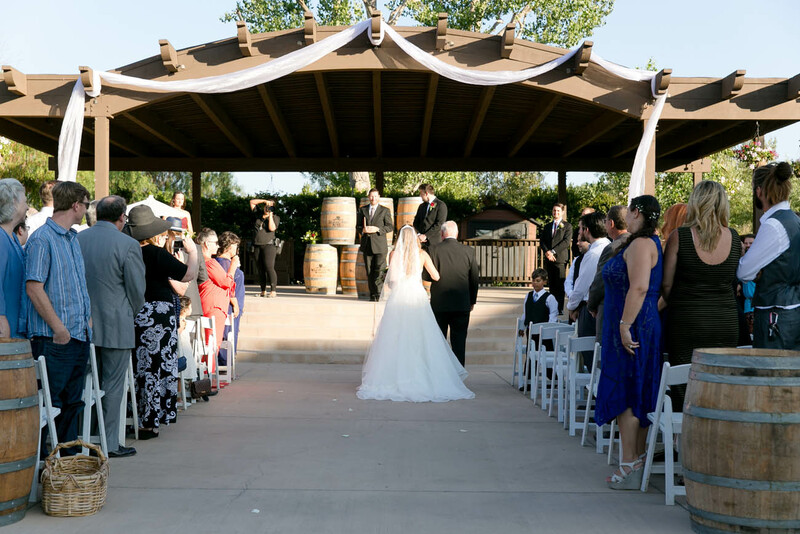 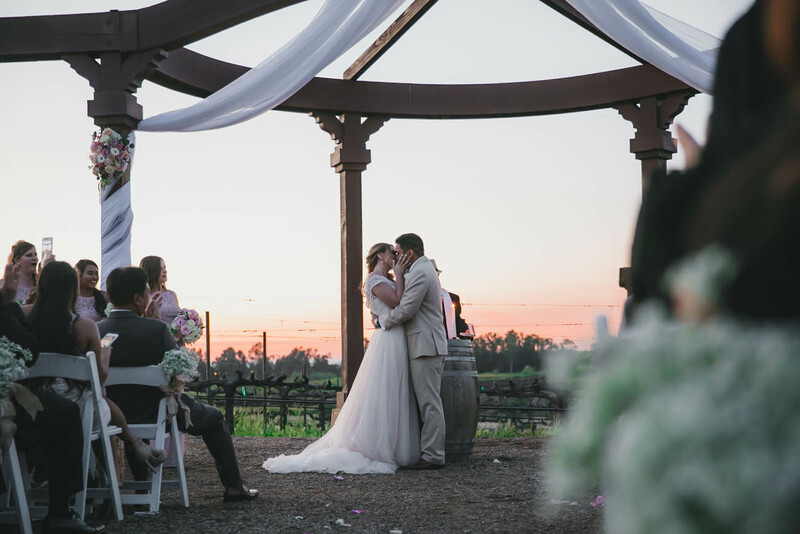 Utilize the entire winery for your wedding or event! 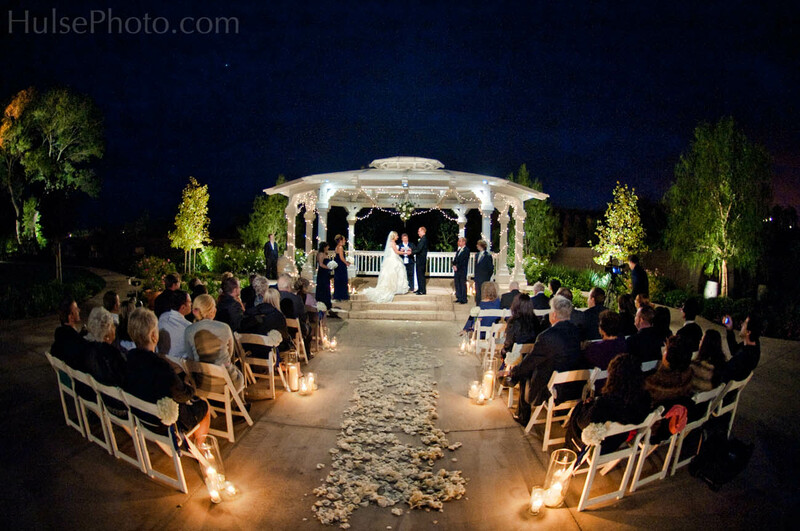 This includes all our indoor areas as described along with the outdoor lawns, gardens, gazebos and patios. 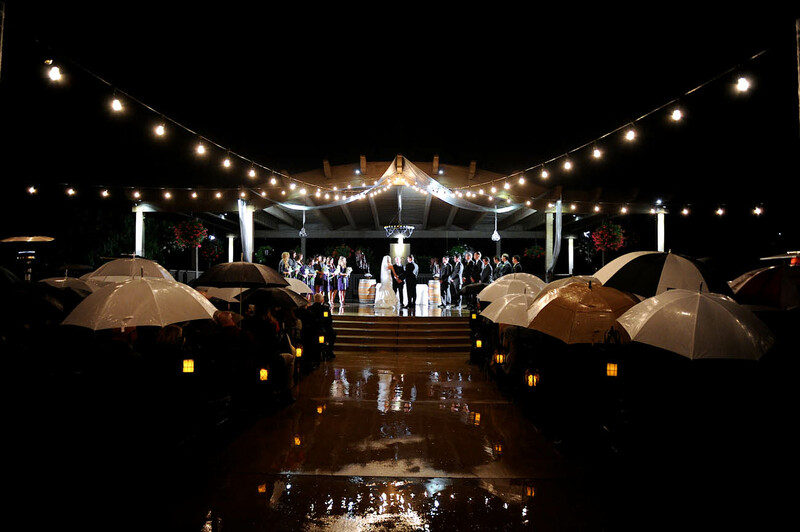 Perfect for large weddings during May through November (as weather permits). 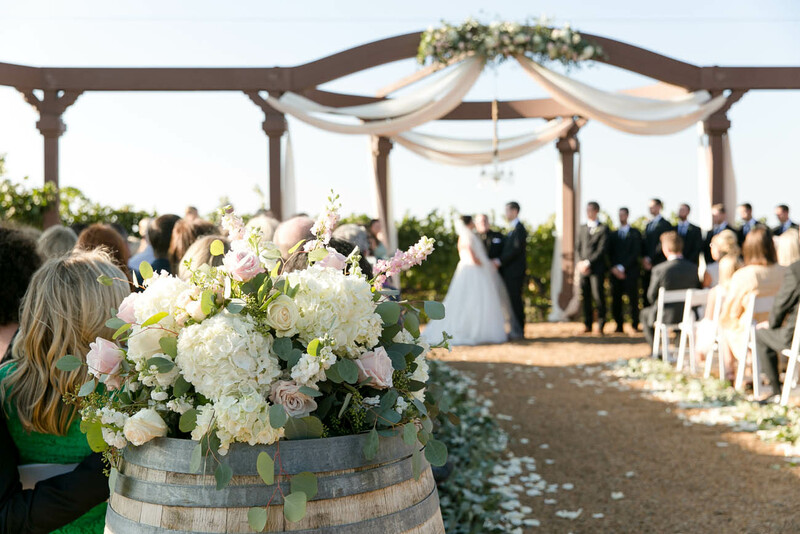 Surrounded by views of the winery, vineyards, flower-filled gardens, and mountains in the distance. 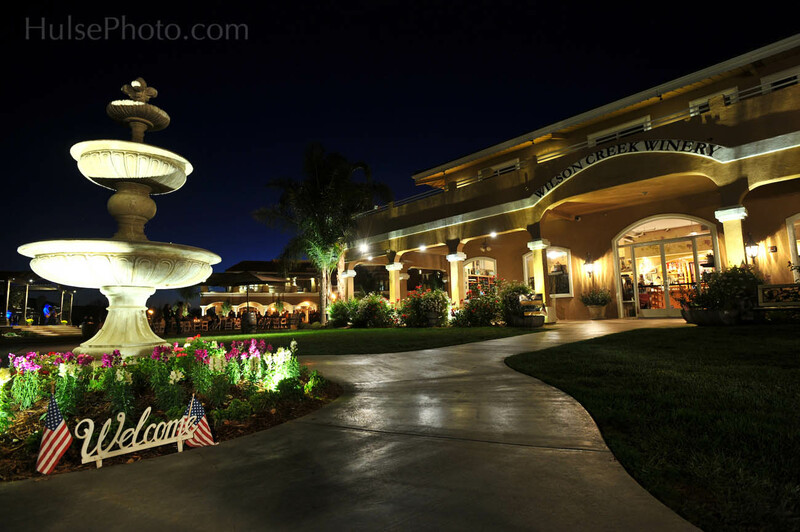 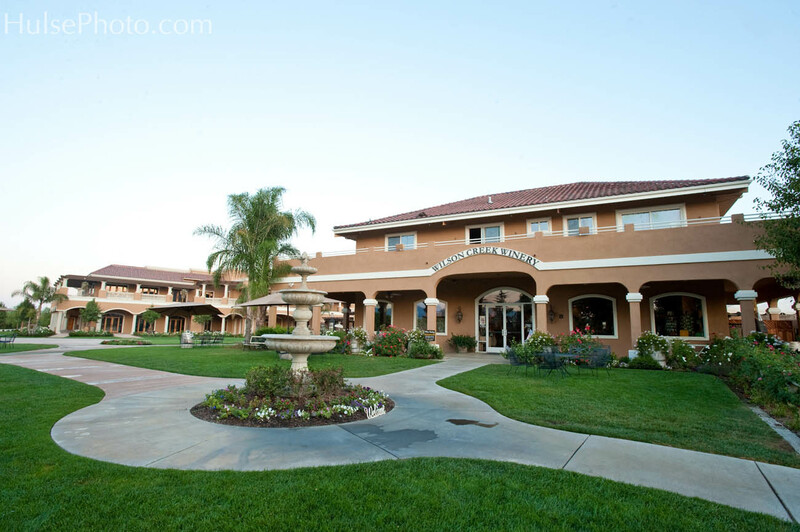 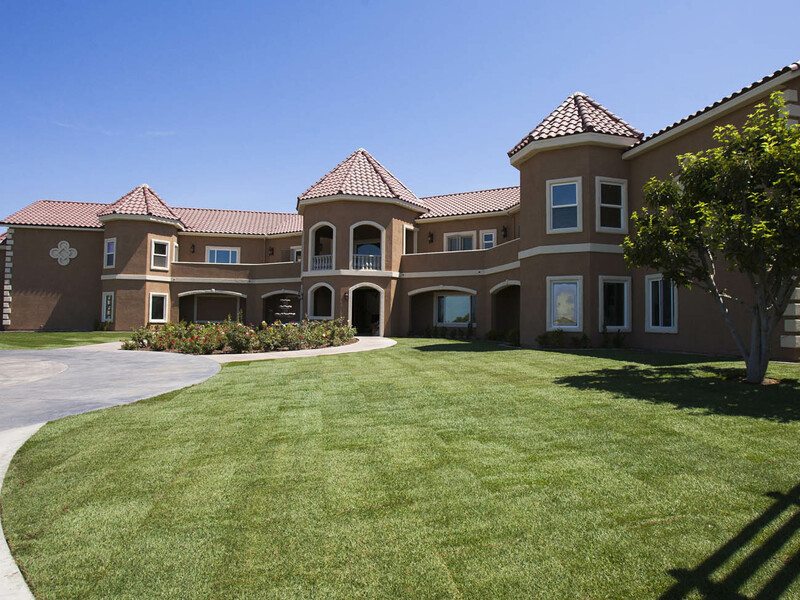 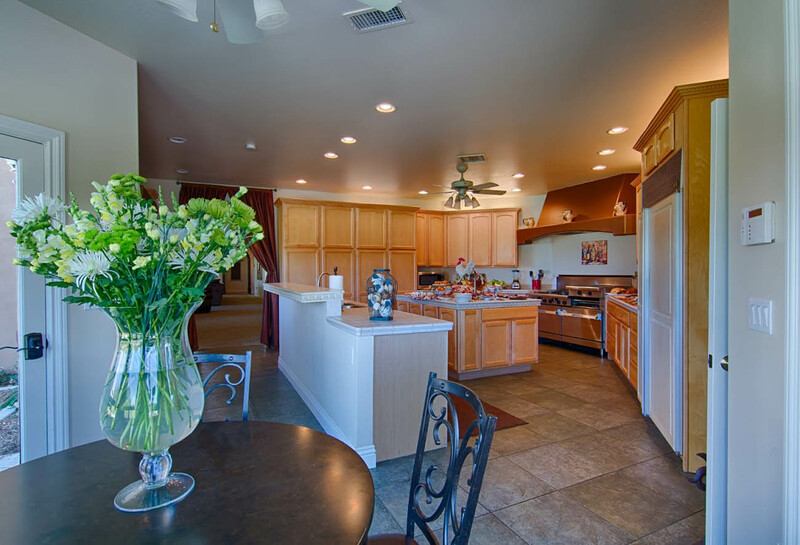 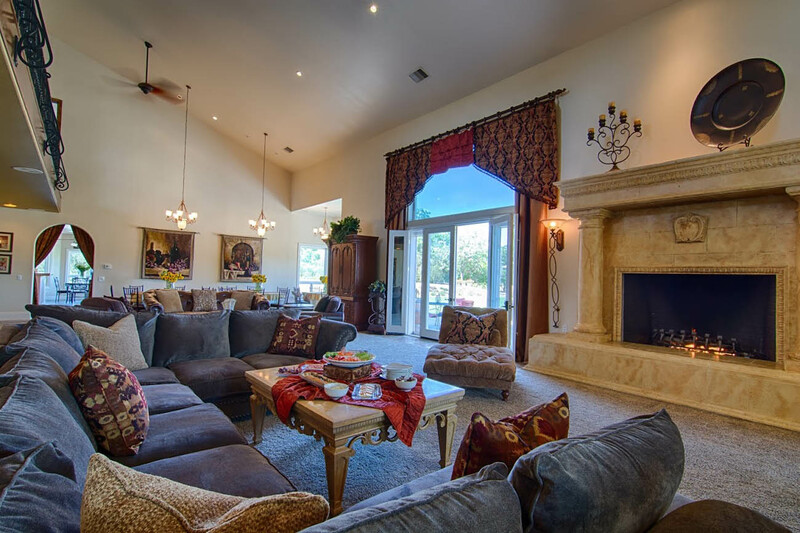 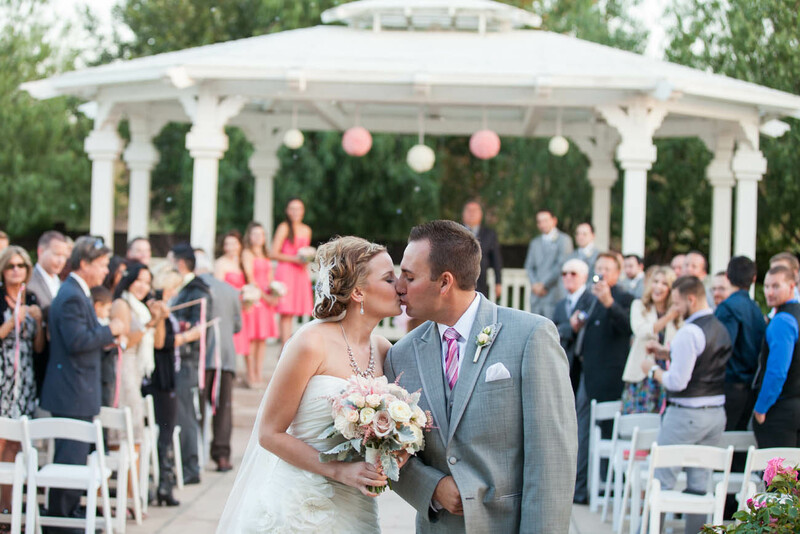 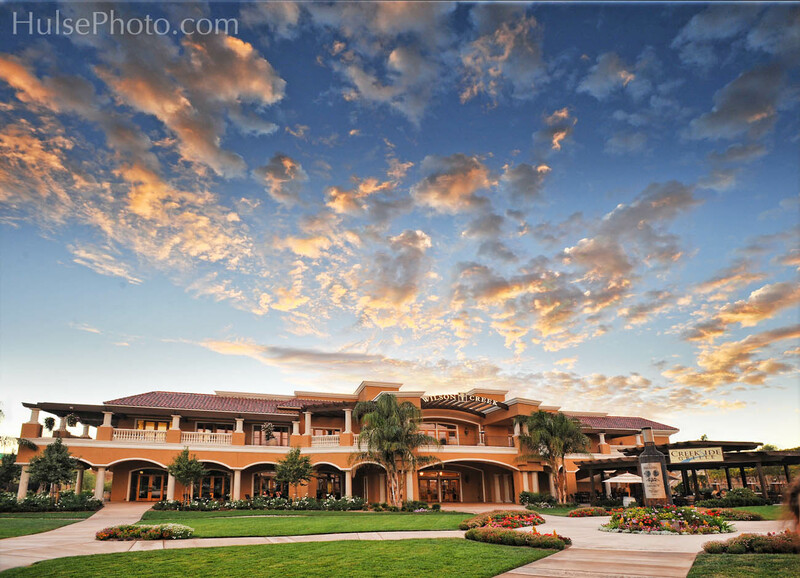 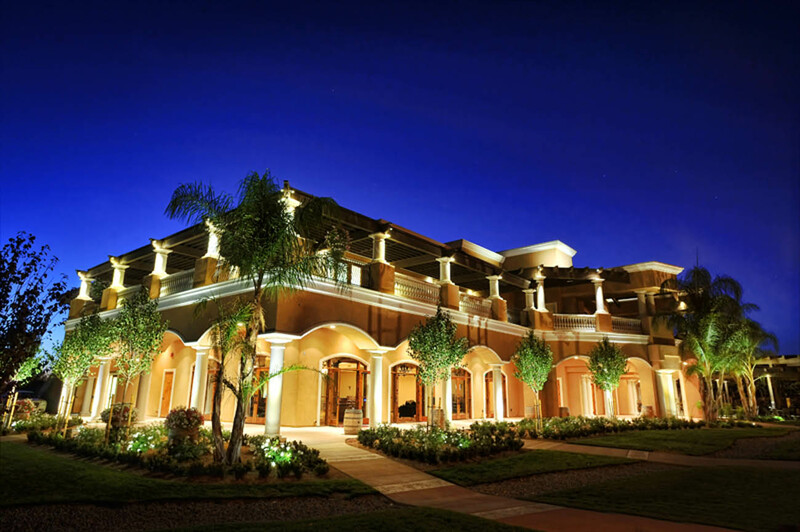 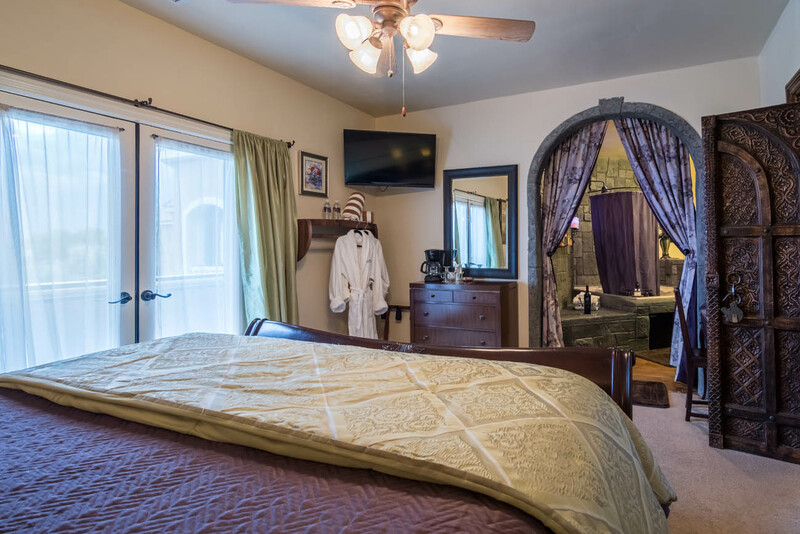 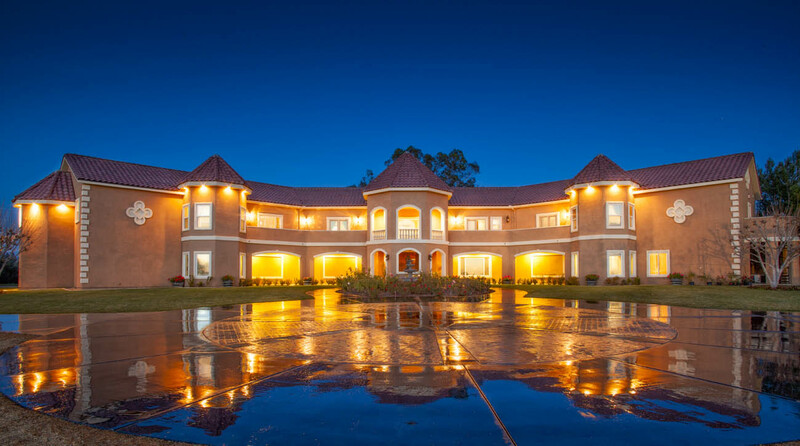 Wilson Creek Manor boasts 12,000 square feet of wine country charm in the heart of Temecula. 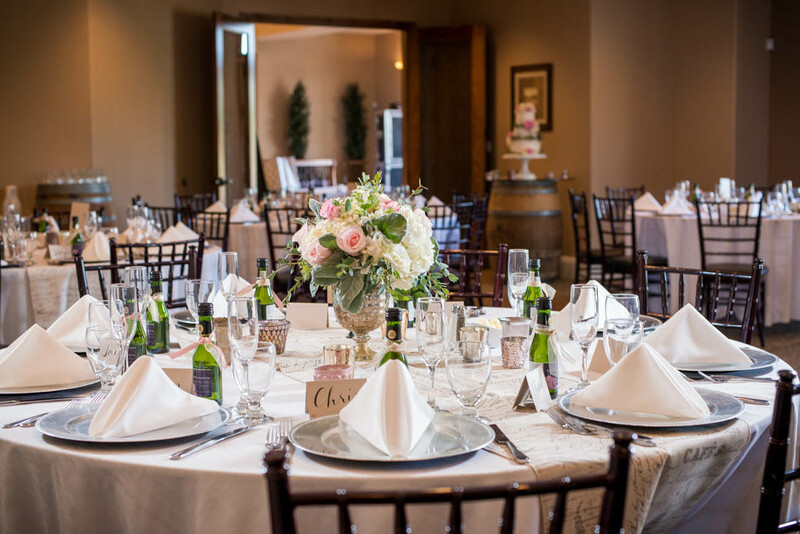 With nine deluxe suites, the Manor is the perfect overnight location for your family or entire wedding party. 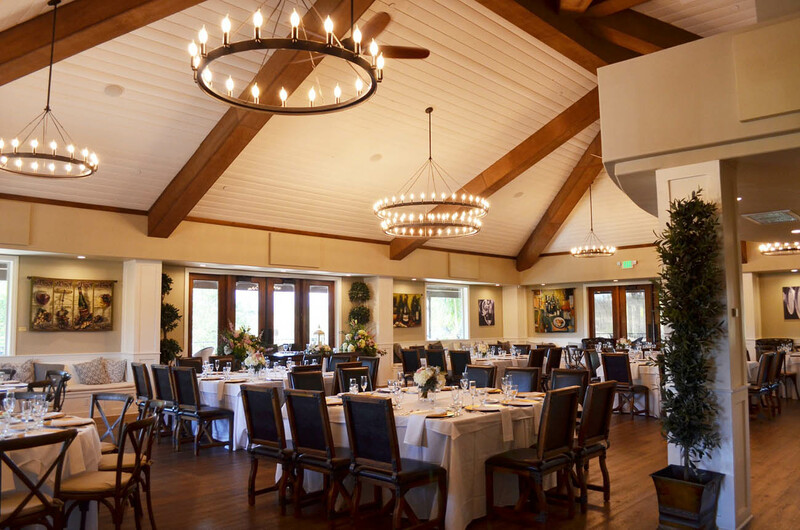 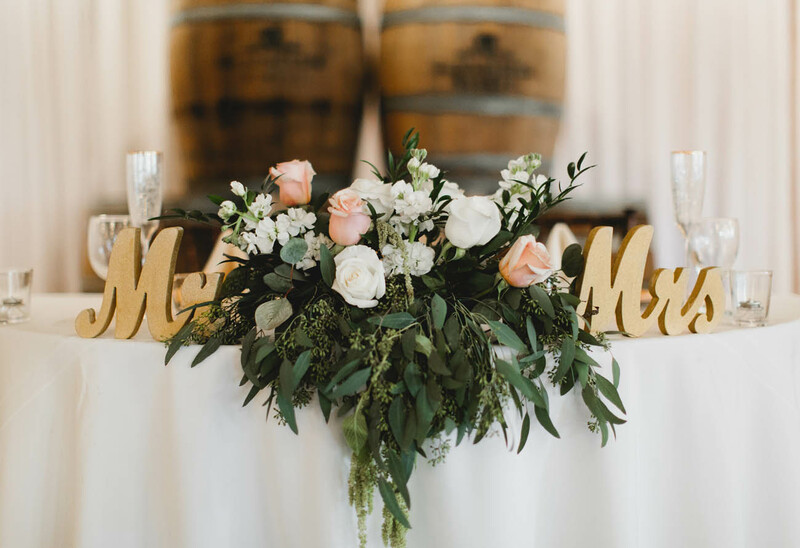 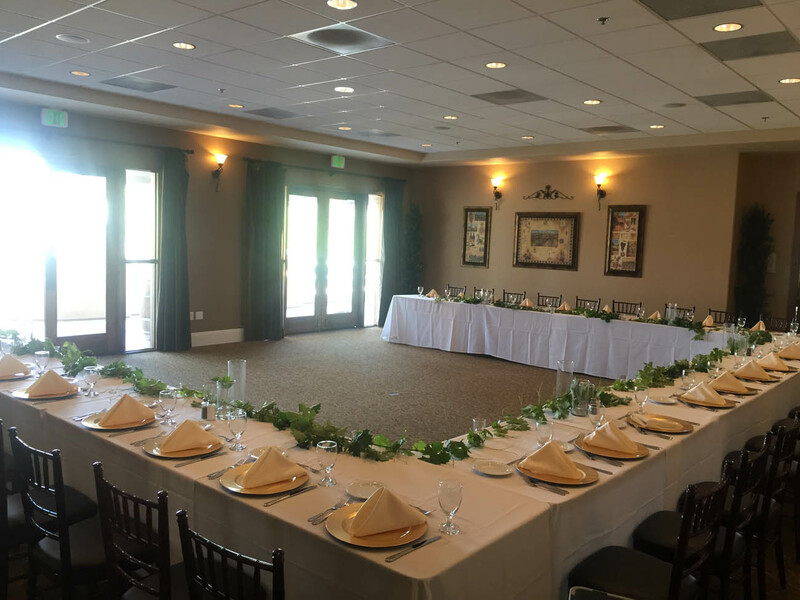 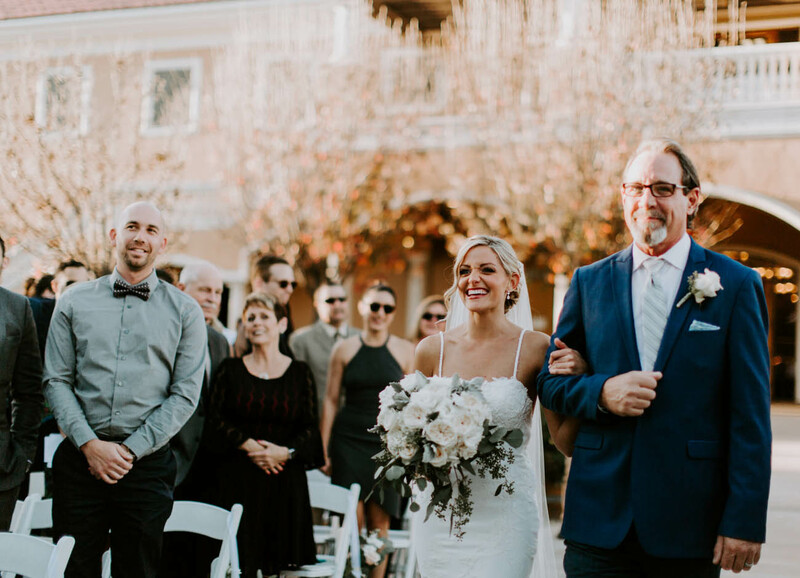 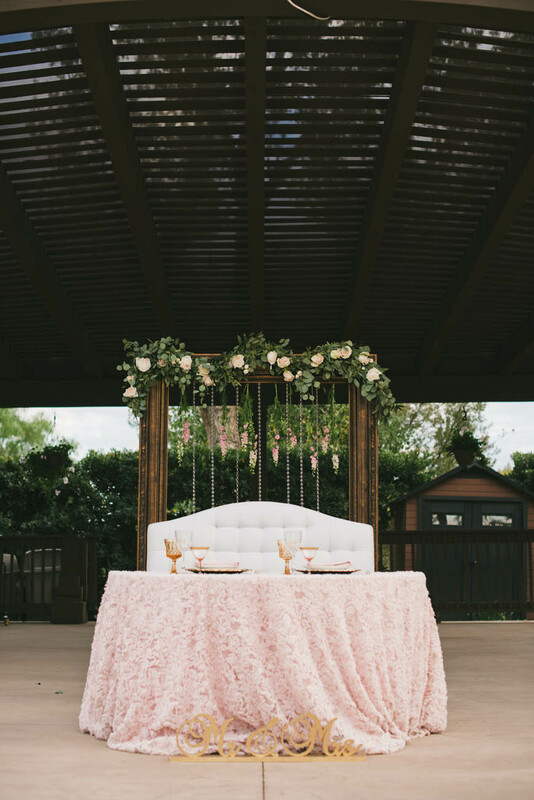 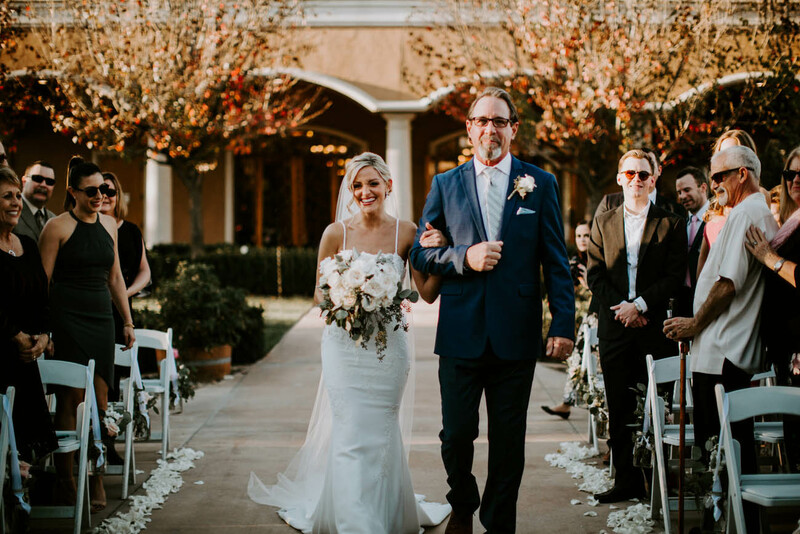 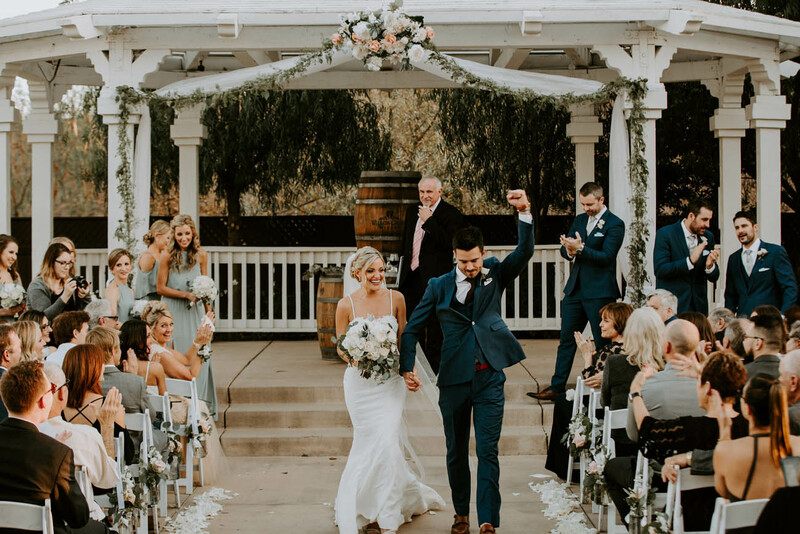 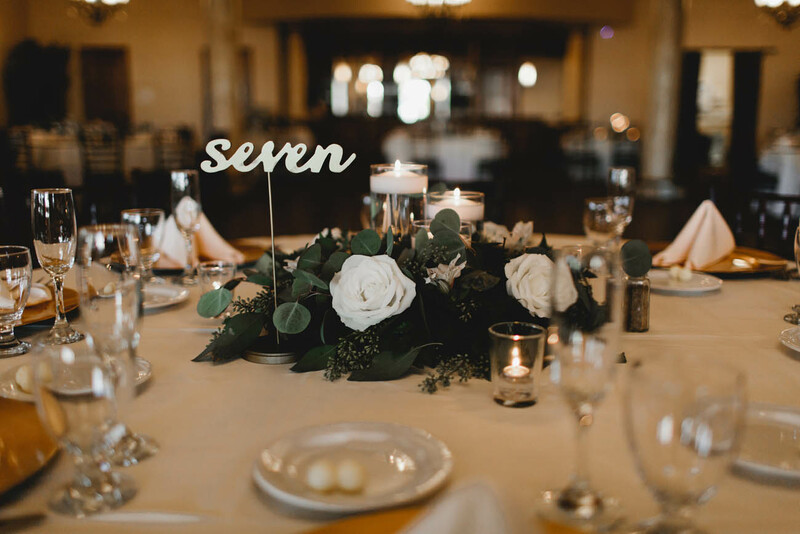 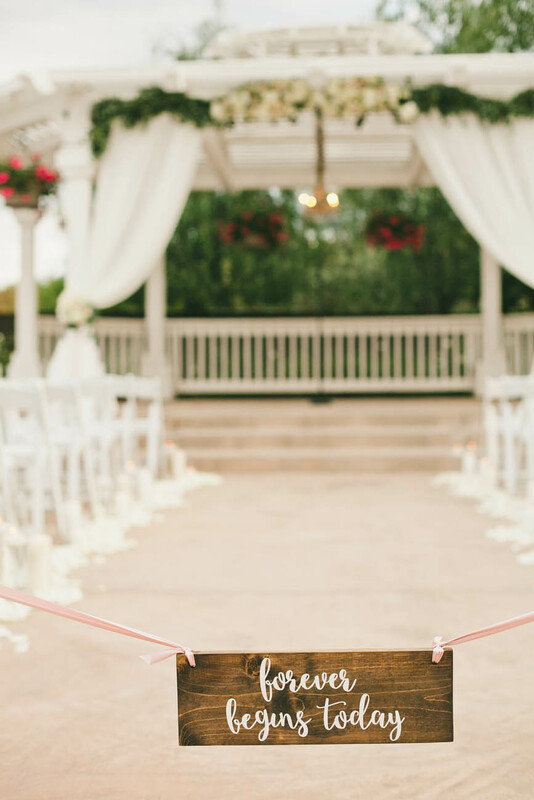 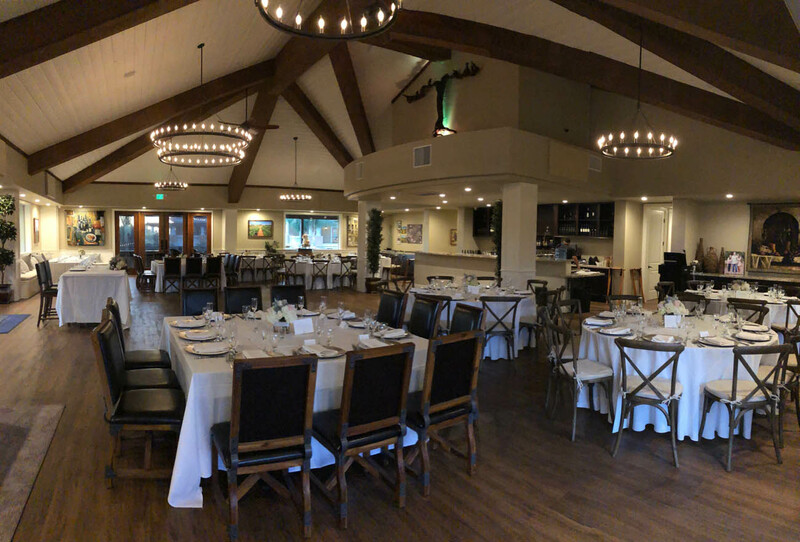 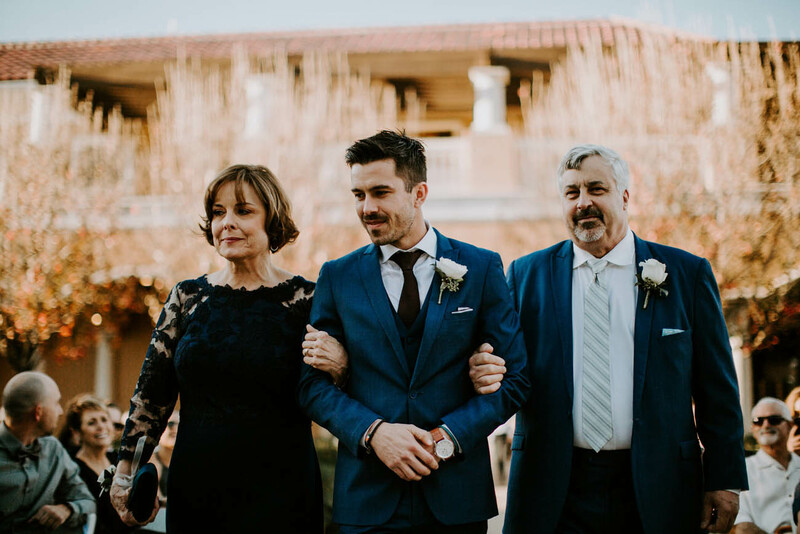 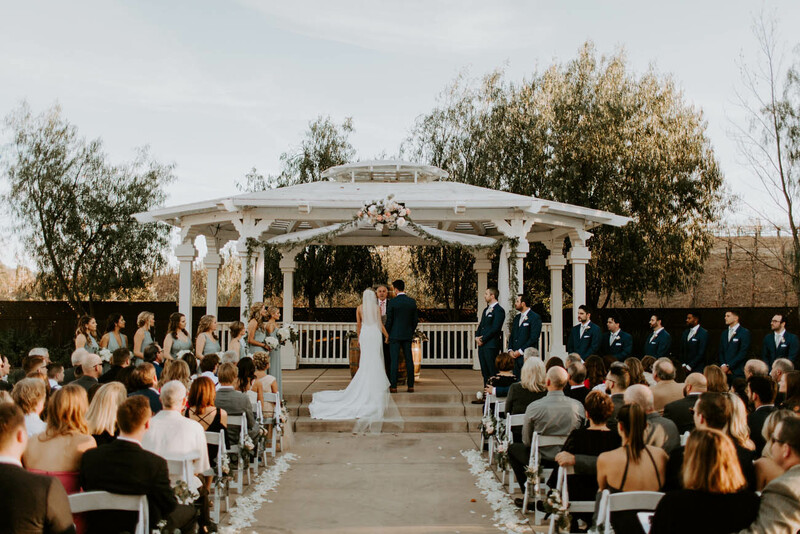 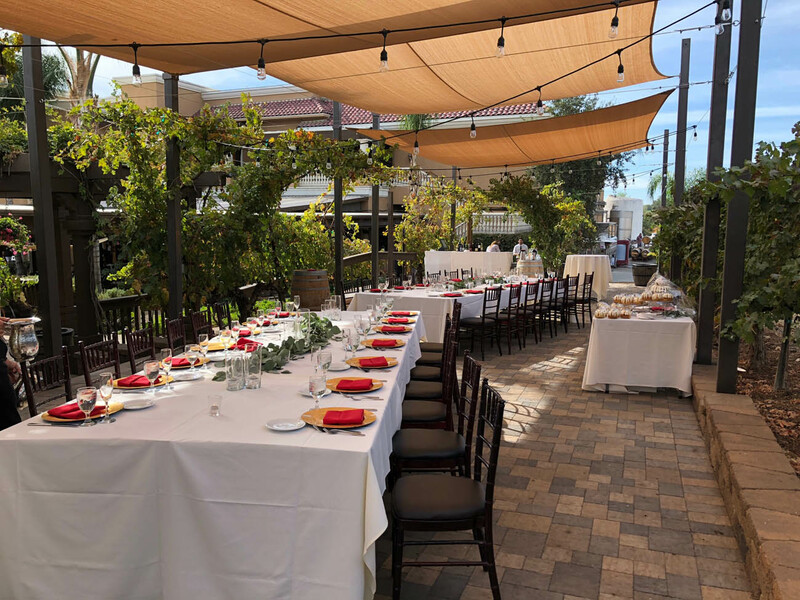 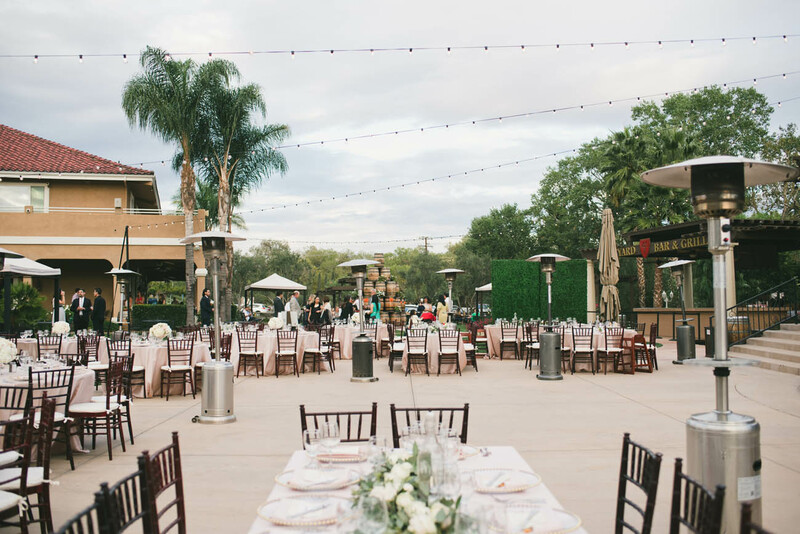 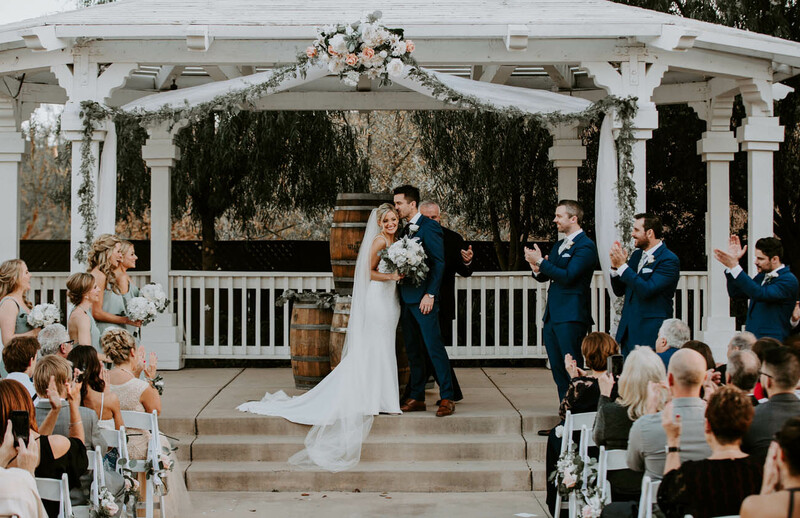 Unfortunately, we do not allow ceremonies at this location but it is the perfect central spot for getting ready, rehearsal dinners and family gatherings before and after the ceremony.